Located in a remote, mountainous region between China and India, the country of Bhutan has a reputation for being a mythical, luxurious, and somewhat mysterious destination for adventurous travelers hoping to get off the beaten path. The Bhutanese word for Bhutan, “Druk Yul,” translates to “Land of the Thunder Dragon.” Because of fierce preservation regulations, visitors to Bhutan will now see ancient temples and palaces alongside new structures that have been designed to pay homage to traditional Buddhist architecture. 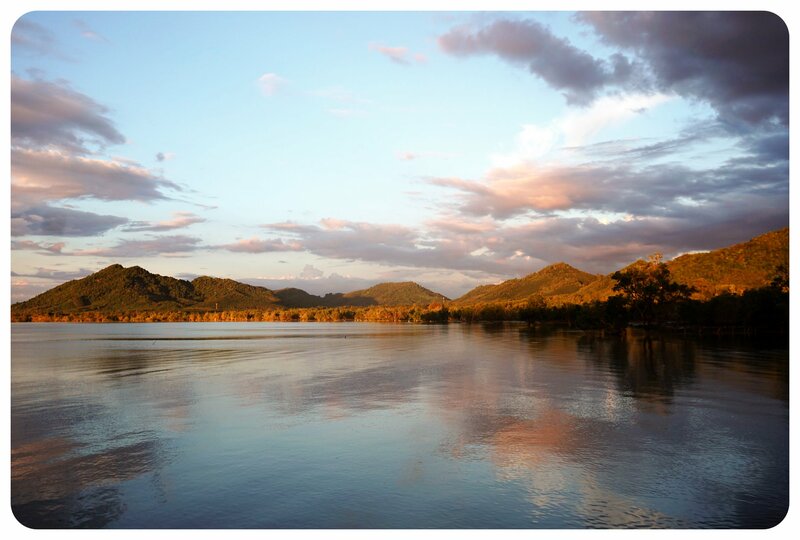 With diverse landscape and gorgeous flora and fauna, you’ll find natural eye candy all year-round, despite the weather varying greatly from season to season. Depending on how you want to spend your time during your trip, you’ll want to visit Bhutan at specific times of the year. Whether you are a hiker, a cultural buff, a bird watcher, or just looking to see the most popular tourist destinations, you’ll find in Bhutan a unique vacation destination with something for every type of traveler. Because Bhutan values cultural preservation, environmental sustainability, and guards its rich traditions closely, visitors to Bhutan must pay a travel tariff of $250 per person per day. However, don’t let this turn you off of a trip to this spectacular country. Because you must book your trip through a licensed tour operator, the fee covers food and lodging expenses in addition to transportation, activities, and any entrance fees. The fee ensures that your trip to Bhutan is well curated and organized, to create an optimal, stress-free travel experience. 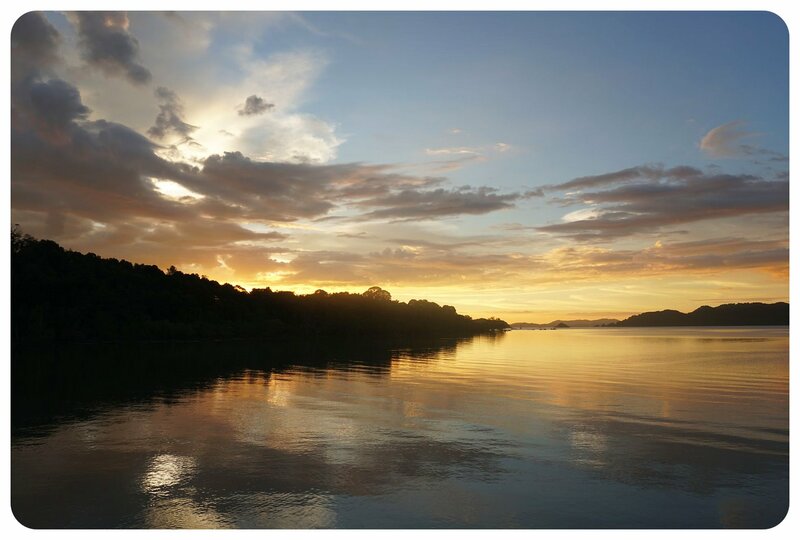 In addition, you can rest assured that your trip will be a meaningful experience where you gain a deep appreciation and understanding for the country’s people and culture. Before you buy trip tickets, decide whether you want to spend time trekking, exploring various Bhutanese festivals, taking in the rich Buddhist cultural heritage, or sifting through gorgeous fabrics and textiles at Bhutanese markets. Once you’ve decided how you want to spend your time, you can find a program that caters to your needs. While Bhutan is a gorgeous natural haven all year-round, you may find that certain times of the year are more optimal for travel, depending on your priorities. Truly, though, there is no best time to travel to Bhutan because you can find spectacular hikes and incredible festivals at any time of the year. With beautiful blooming flowers and mild temperatures around 70 degrees Fahrenheit, spring is an excellent time to travel if you are hoping for optimal hiking conditions. Colorful rhododendron forests and the occasional sighting of a rare blue poppy make springtime in Bhutan a magical time to travel. 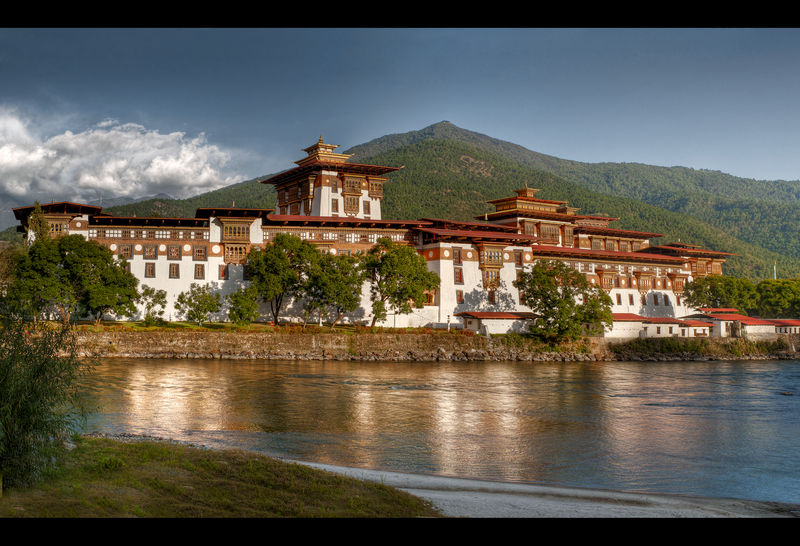 Summer’s luscious green landscapes and rainy afternoons make it the perfect season for retreat in Bhutan. Travelers can opt to stay in a luxury hotel with spa amenities and take in the quiet city life during the off season for tourists. Thimphu, the capital city of Bhutan, often gets less rain than other parts of the country, making it an ideal summer travel destination. Folks visiting Bhutan for the brilliantly colorful festivals and ideal weather often opt to visit in the fall. Some of Bhutan’s largest annual festivals take place during the fall season—like the Thimphu Tsechu festival, which celebrates Buddhist culture in Bhutan through triumphant dances and ornate costumes. 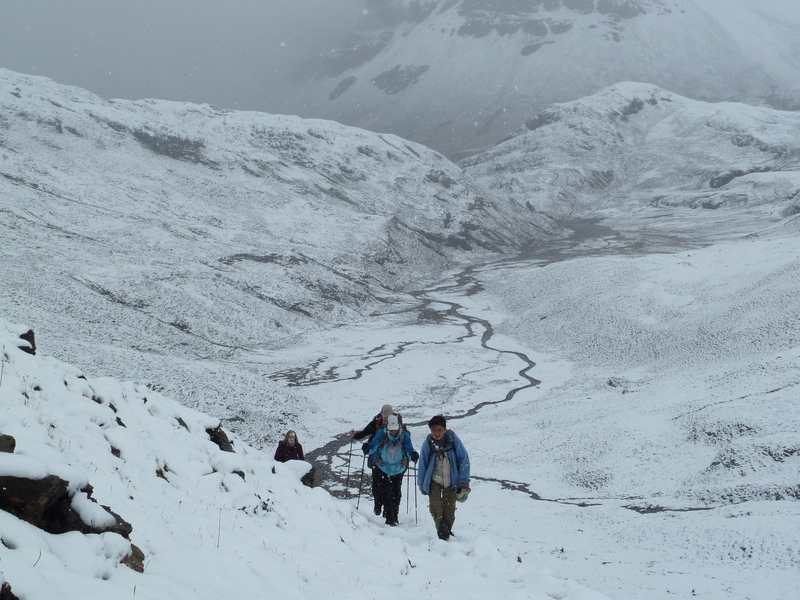 Winter in Bhutan is another good season for those hoping to hike through remote regions of the Himalayas. Expect to find pristine clear skies, rare wildlife like the endangered black neck crane, and mild to cold temperatures. Small crowds and low precipitation make winter in Bhutan the perfect time of year to explore the more rural regions of this gorgeous country. Nestled into the western Himalayas, Paro is the perfect city to visit after a few days of trekking during the fall or spring months. Ripe with sacred sights and picturesque monasteries like the Tiger’s Nest Monastery, you’ll find pristine paved roads weaving through ancient fortresses and historical sights. Paro is also home to Paro Tsechu, a nine-day festival which celebrates the saint who brought Buddhism to Bhutan. 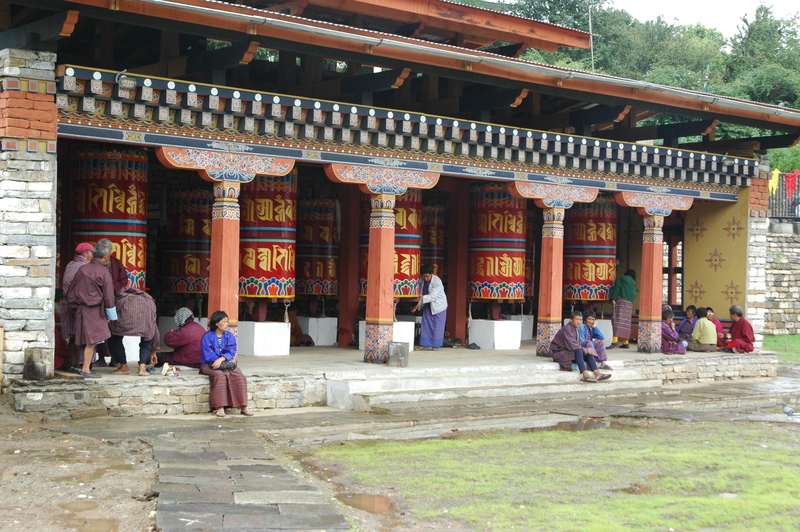 Thimphu is another must-visit city in Bhutan for anyone hoping to gain a cultural understanding of this tiny country. Because Thimphu is located in a valley, it’s a good destination to visit during colder months as temperatures are often warmer in Thimphu than in towns higher in the Himalayas. 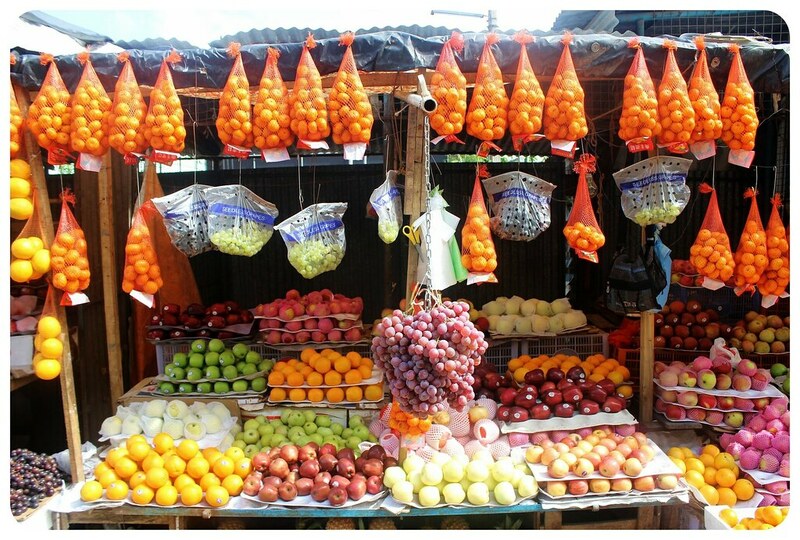 In Thimphu, you’ll find farmers markets, monastery fortresses, endangered animal preserves, textile museums, and delicious local food. With seasonal festivals in both cities, any time of year can be the best time to travel to Bhutan. With such rich culture, pristine natural landscapes, and unique activities to enjoy, you’ll have a blast discovering all of the hidden gems in Bhutan. Do you have travel stories from Bhutan? 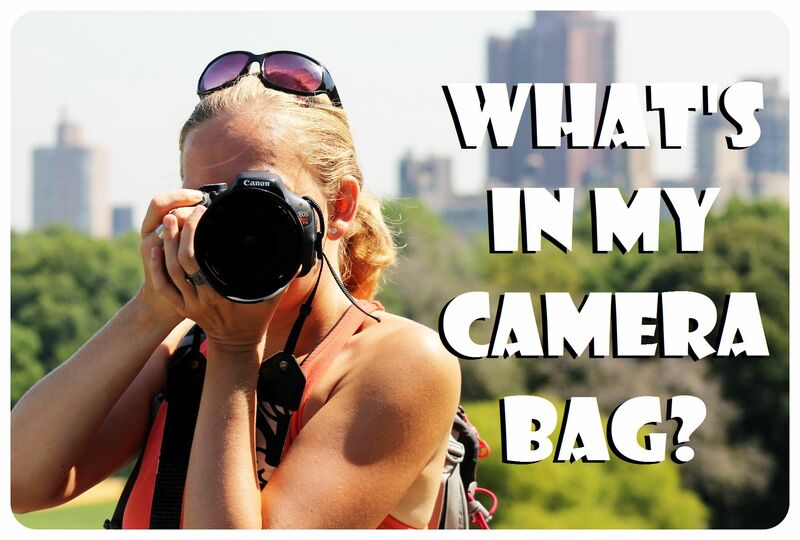 Leave a comment describing your adventures! So when I spontaneously decided to add on a quick island getaway to Thailand to my Singapore trip a couple of months ago, I knew I had to check out a new island instead of returning to old favorites (sorry Koh Tao!). When I consulted the map to see which island would make the most sense, I zeroed in on not one, but two islands: the Yao Islands. 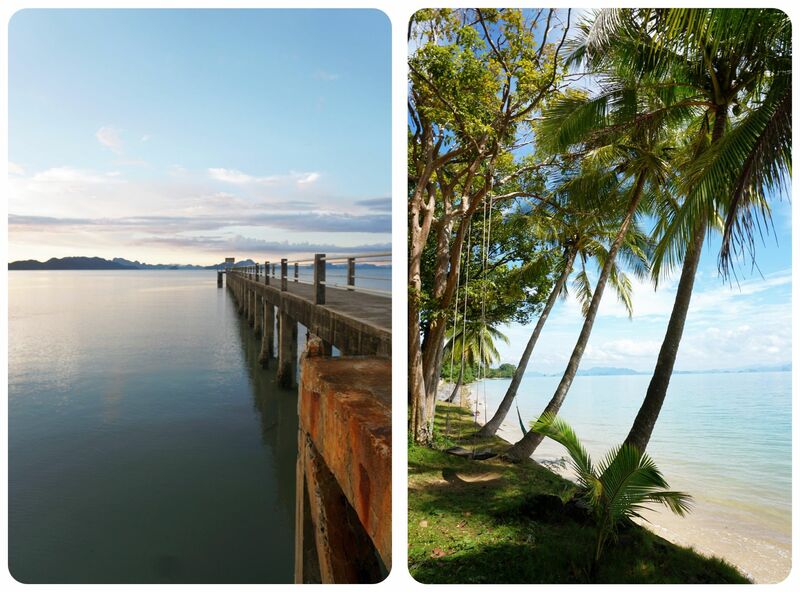 And they happened to be two islands that have been on my Thailand wish list for years – score! 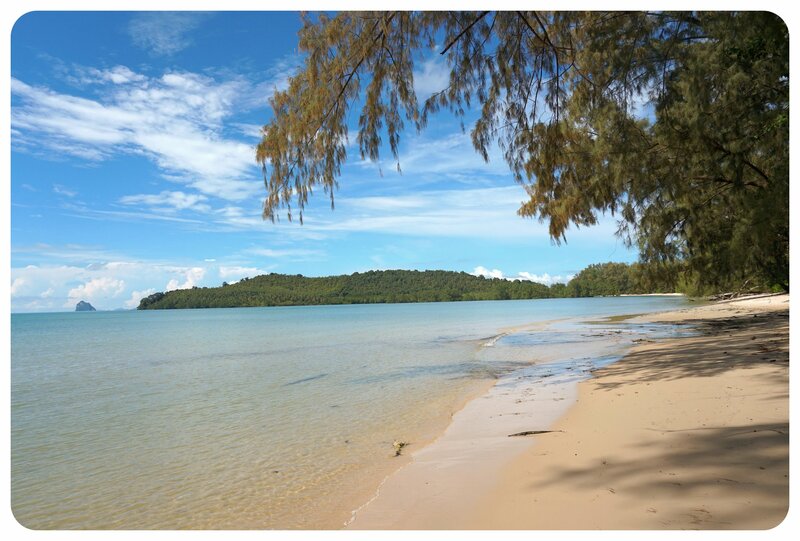 The Koh Yao island group is made up of 44 islands in total, but only the two largest ones, Koh Yao Noi (Little Long Island) and Koh Yao Yai (Big Long Island), are inhabited. The smaller islands can be visited but don’t have hotels or resorts. Both islands are surrounded by a number of uninhabited scenic limestone karst rocks, a typical feature of the Andaman Sea. 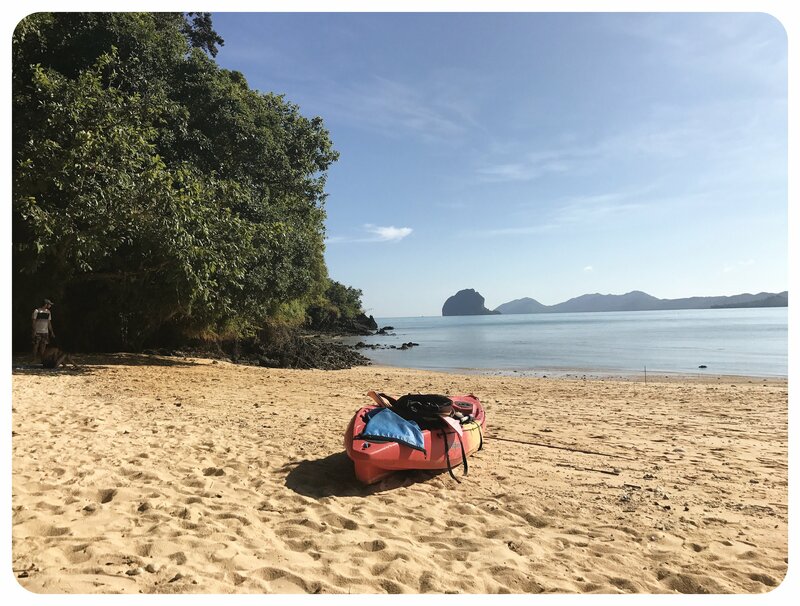 The reason the two sister islands caught my attention for this getaway was their location in Phang Nga Bay, right in between Krabi on the mainland and the island of Phuket. Thanks to their proximity to Phuket, and many direct flights between Singapore and Phuket, I thought it would be super easy to get there. We would take a taxi straight from the airport to the ferry pier in Phuket and hop on the 30-minute speed boat to Koh Yao Yai. 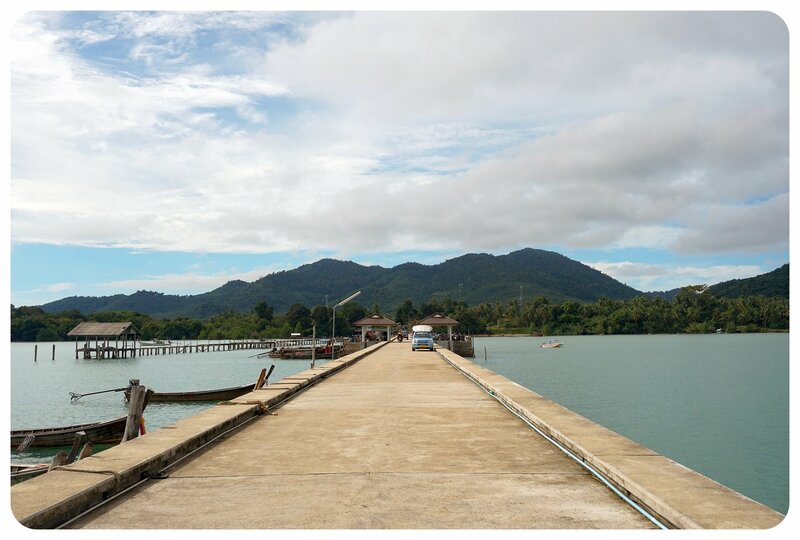 From there, we’d take another ferry to Koh Yao Noi. Easy breezy. Was it as easy as it seemed? Absolutely. And while I initially thought it may be stressful to squeeze in both islands instead of one, this turned out to be a great decision, because I found the islands to be fairly different.If you have time constraints though and only have time to visit one, here’s my rundown on both islands and which one I liked best, including practical information on how to get to the islands and recommendations for places to stay. Koh Yao Yai was the first island we visited, and on the ride in the Songthaw (shared pickup truck) from the ferry pier to our hotel, the lush green jungles bordering the road reminded me of Koh Chang. There is only one main road that circles nearly the entire island, and a few additional small side roads. No matter where you drive, you’re almost always surrounded by lush jungle scenery. Occasionally, you pass a small village, but mostly there are just clusters of simple houses and maybe a simple village shop or two. Our hotel was on the western coast of the island, meaning we didn’t get to see any of the glorious Thai sunsets, which was a bit of a shame. Our small resort right by the beach was lovely, but there wasn’t anything to do there except for taking walks along the beach, taking a kayak out for a ride around the bay, or lounging by the pool. Since most resorts seem to be like this – small bungalow villages along the coast, with not much surrounding them – if you want to see the island, you have no choice but to rent a scooter. You could get by with the private songthaws (your hotel will call them for you), but honestly, this is a pretty limited way to get around, since they transport you from A to B rather than showing you the island. After walking along the road for a bit on our first day to see if we could get anywhere on foot (nope! ), I realized I had no choice but to get over my fear of scooters if I wanted to see something of the island other than our hotel. Scooter rentals are between THB250 and THB300 (US$7.70 – $9.20) for 24 hours, and after getting back in the saddle it didn’t take me long to feel confident enough not only to cruise down the main road – where luckily, there was barely any traffic – but also a few of the smaller dirt roads which led to some hidden beaches. Koh Yao Yai was a little bit bigger than expected, with a population of about 8,000, but even in the main village on the island it never felt like it was busy. We spent a few days on the island just cruising around on our scooter, following the random signs pointing to mysterious sights like ‘viewpoint’ or ‘hidden beach’. We never ran into crowds – we’d see one or two other tourists at most, no matter if we were walking on a beach or stopped for a coffee. There was one exception, White Sand Beach, which sits on the western coast of the island and is a perfect spot for sunset watching. This stretch of beach had a few of the typical wooden swings that you find on many of Thailand’s beaches, as well as a few stalls selling drinks and food. I’d assume that it gets busier here during high season, but when I visited, there were only a handful of other tourists around. 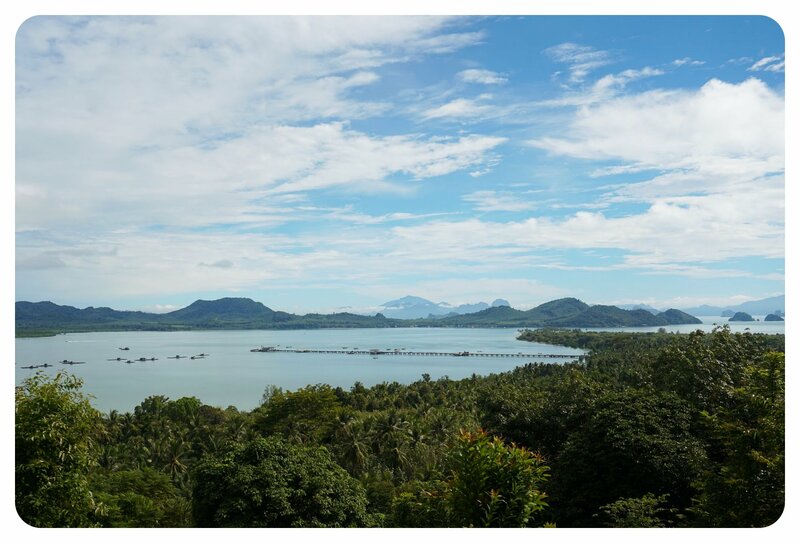 The only larger village on Koh Yao Yai is Phru Nai, – right by White Sand Beach – where we found the Iyara Cafe, a small cafe with hot and iced coffee drinks and small bites, clearly catering towards Western tourists. Finding good coffee was one of our main quests on the island, because it turned out that good coffee wasn’t as easy to come by as it had been in Singapore, where we’d spent the weekend before. Other than the Iyara Cafe, there was the Chada Cafe, a brand new, air conditioned, little glass container on the side of the main road, conveniently located for a quick caffeine (and AC!) stop during our daily island explorations. After a couple of days of cruising around the island we felt like we’d seen all there was to see, and since neither one of us is someone who can sit still (or lounge by the pool for too long), we decided that it was time to hop on the ferry over to Koh Yao Noi, Koh Yao Yai’s smaller sister island. The ‘ferry’ turned out to be a long-tail boat that we had to ourselves, and only ten minutes later we found ourselves on Koh Yao Noi. 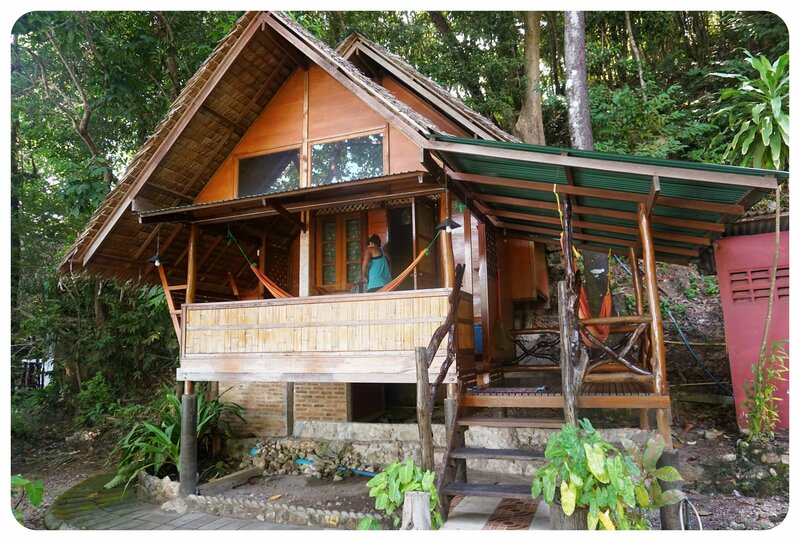 We hopped in a songthaw that brought us to our hotel, a small bungalow resort conveniently located within walking distance to the island’s main beach and tourist area. 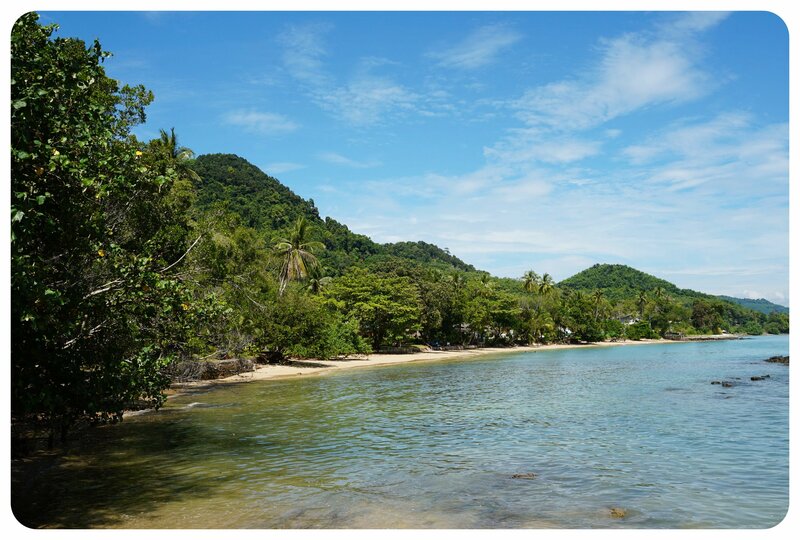 While the touristy area on this island felt far more developed than on Koh Yao Yai, it was still just a short one kilometer long stretch of beach which was lined with small hotels and a number of bars and restaurants. The beach was separated from the restaurants by the main road around the island, which has sections that follow the shoreline. Don’t be put off by the thought of having a road there though, when we were there, just before the main season started, it was anything but busy, and I can’t see it getting very busy, even during the busiest months (December – March). Koh Yao Yai is so close to Koh Yao Noi that you could easily connect them with a short bridge, and yet the islands feel worlds apart. This time, we decided not to wait and rented a scooter right away. As soon as we checked into our hotel, we hopped on our scooter to explore the island. Even though this island is smaller than Koh Yao Yai, it felt more developed. There were more restaurants and cafes, and the largest village on the island was bustling every time we stopped there. This is where you find the typical street food stalls selling meat on sticks or banana roti, something we hadn’t really seen on Koh Yao Yai. The little village even had a couple of tourist shops selling clothes and souvenirs, and Faye’s Taste Of Koh Yao, a lovely restaurant serving organic food, which is worth a stop – for a refreshing fruit shake or lemonade at least. On our first full circle around the island, we came across rubber farms, jungles, water buffaloes bathing shoulder deep in mud puddles, and deserted beaches. 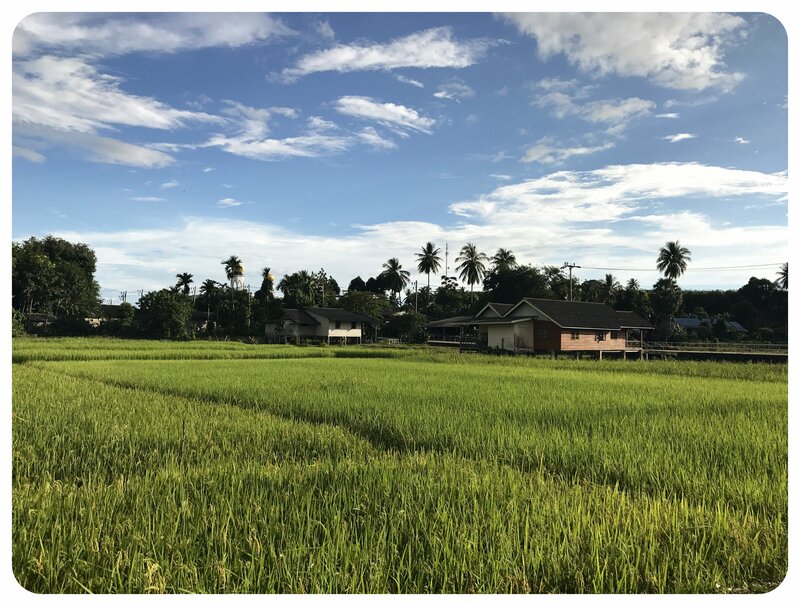 On the west coast, we explored a fishing village on stilts, but our favorite part was the rice paddies in the southeast. The lush green fields looked beautiful against the bright blue sky, and it was so tranquil there that it was impossible not to feel utterly relaxed. Except for the occasional local passing us on their scooter, there was barely any traffic. 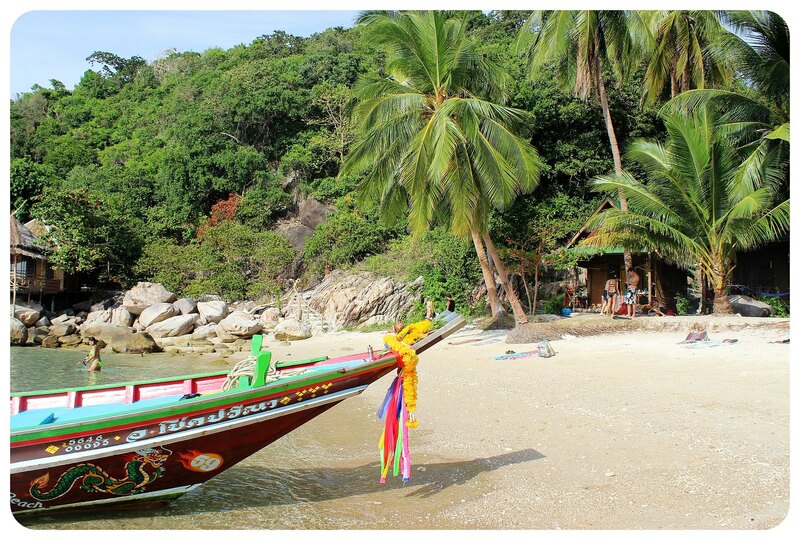 It felt almost surreal to think that touristy Phuket was just a half-hour boat ride away. This serene little island felt like it was worlds away from malls and party beaches. That being said, I should mention that Koh Yao Noi was definitely not the hidden gem it was once known as – one of the last unspoiled islands. Over the past few years, several fancy hotels and resorts have popped up on the island, including the fabulous Cape Kudu, which I marveled at every time we rode by, and where I’d love to stay during my next visit 🙂 However, these resorts are in no way to be compared with the massive resorts in Phuket – they are all small and built in a tasteful way, aiming to fit in with their natural environment. Whereas we had a hard time finding good food and coffee on Koh Yao Yai, there was no shortage of eateries and cafes on this island. We actually had a hard time fitting in all the places we wanted to try. We loved Cafe Kantary, but considering it belongs to the Cape Kudu hotel, that shouldn’t have come as too much of a surprise. 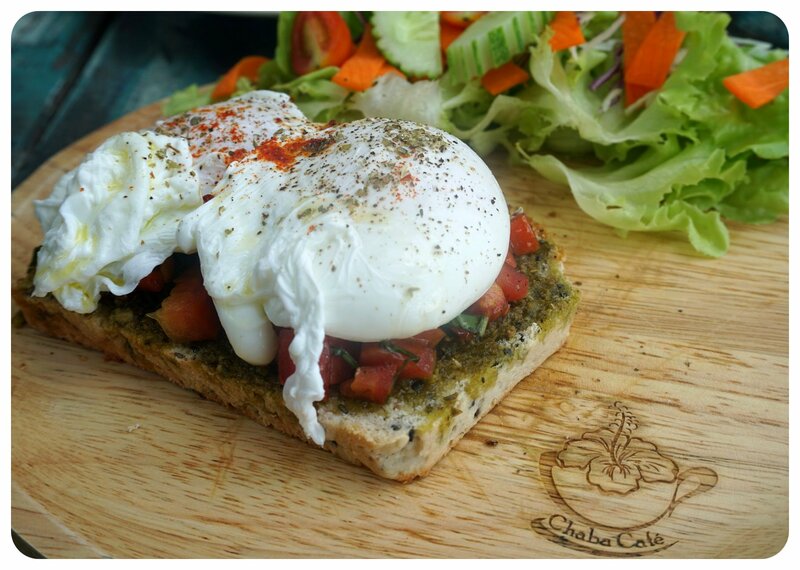 The nearby Chaba Cafe & Gallery was our favorite place for healthy smoothies, iced coffees, breakfasts and salads – we couldn’t get enough of this quirky little restaurant. The only disappointment was pizzeria La Luna, which had rave reviews online but didn’t live up to our expectations (we do live in New York though – hard to please our pizza-spoiled stomachs!). 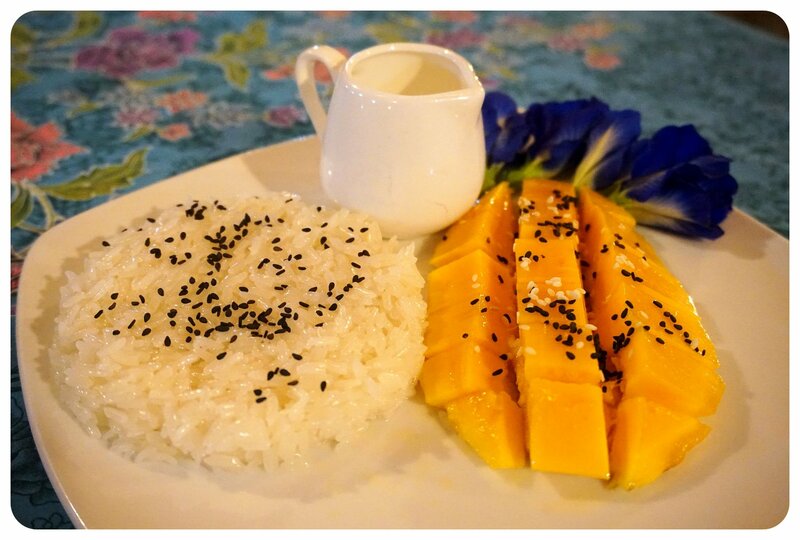 We preferred the Thai dishes at Baan Chang and Kaya, and usually stopped at a street food stall selling roti (pancakes) near the Pasai seafood restaurant for dessert. Around there we also found a kayak rental place and rented a kayak for the afternoon to paddle out to Koh Nok, an uninhabited nearby islet that is famous for its viewpoint and deserted beaches. The beaches weren’t all that deserted, however, because several ‘island hopping’ day cruises stopped there, but luckily almost all of them left not long after we arrived. Much to our surprise, there was a viewpoint on top of the limestone cliff that makes up the larger part of the island, but getting there required climbing up a steep, rocky dirt path which could in parts only be conquered with the help of hanging ropes. Had we known about this viewpoint, we would have brought our shoes, because it was impossible to climb barefoot – our shoes were back on the shore on Koh Yao Noi. I bet the views from the viewpoint are incredible. 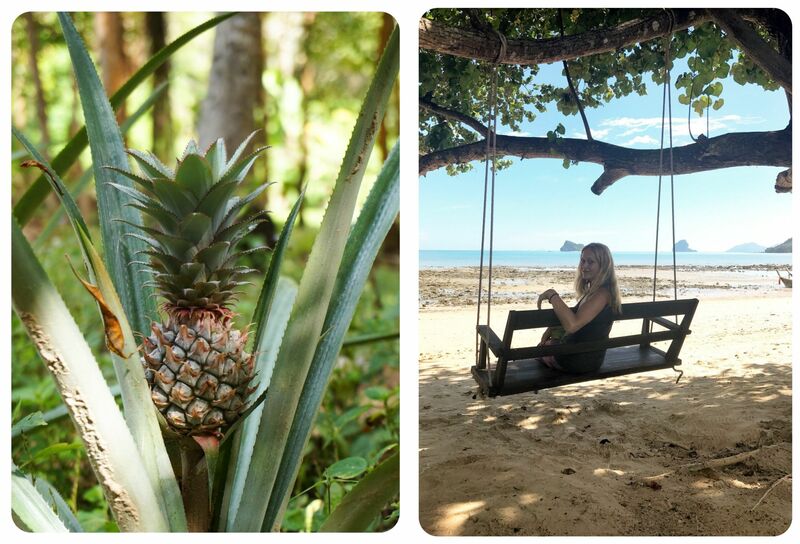 Just as on neighboring Koh Yao Yai, there’s not all that much to do on this little island, but that is exactly what we wanted. We weren’t looking for big parties at night – a couple of sunset beers was as ‘wild’ as we got during our time on the island, and we appreciated the low-key atmosphere. There are a few bars along the main beach area where we were staying, but we didn’t see any big parties like Phuket is known for. Instead of going out at night, we retreated to the hammocks on our balcony with a book, and I was usually up bright and early for a solitary beach walk. On one of our exploratory tours of the island we followed a sign to a waterfall, and one day we took advantage of the low tide in the morning to walk over to Ko Nok, a tiny uninhabited islet out in the ocean that is connected to Koh Yao Noi by a sandbank at low tide (not the same Koh Nok we kayaked, too, by the way). It felt refreshing not having to tick off a number of sights, but instead simply hopping on our scooter to see where the road would take us, and being able to stop whenever we wanted. 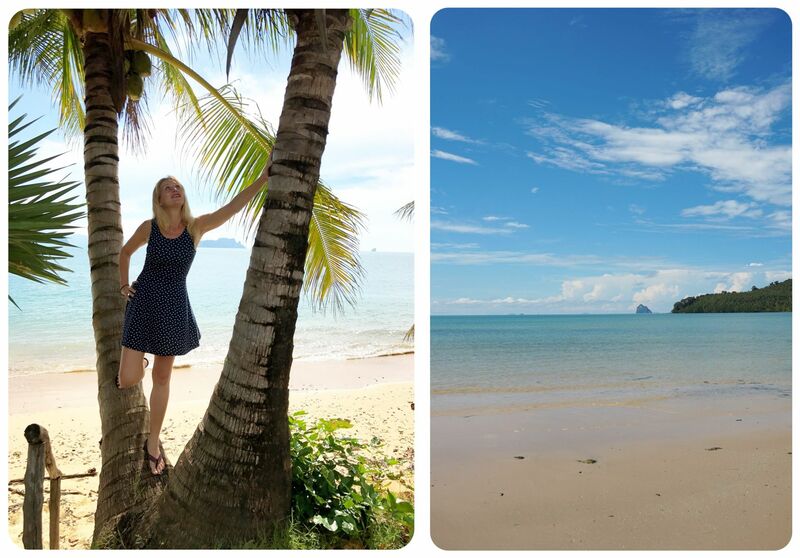 Koh Yao Noi Vs. Koh Yao Yai – Which Island Is Better? 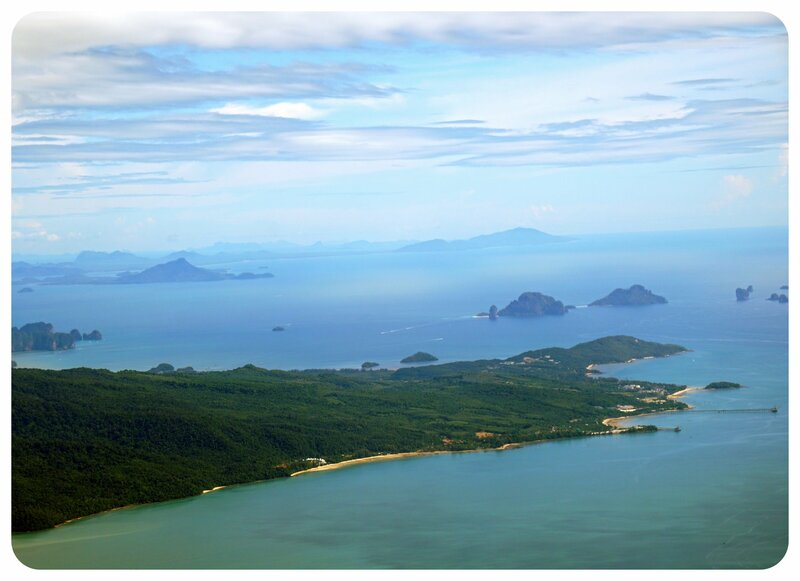 When we first decided to visit the Koh Yao islands, we thought about visiting only one of them. But then the curiosity to see both won, and we split our time evenly between both islands. In hindsight, I am glad that we went to both islands, even though I have to admit that I preferred the vibe on Koh Yao Noi. 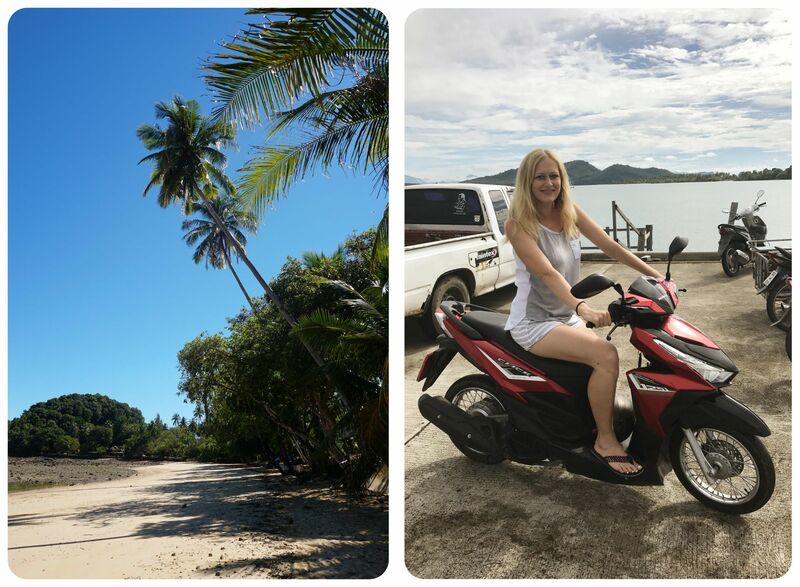 While both islands are equally beautiful, I found the food options on Koh Yao Yai lacking and the beaches on Koh Yao Noi a little nicer. Some people may prefer the less touristy feel of Koh Yao Yai, but I appreciated that on Koh Yao Noi we were able to walk to several restaurants and cafes and had a couple of beaches to choose from close to our bungalow, whereas on Koh Yao Yai, it felt like we had to always hop on the scooter to get anywhere, especially when we wanted to go out for dinner or drinks. One day I overheard a conversation between the lady who ran our bungalow resort on Koh Yao Noi and a couple of guests who were thinking about going down to Koh Yao Yai. She recommended going only for a day, and I think that would indeed be enough time to see all of the island. 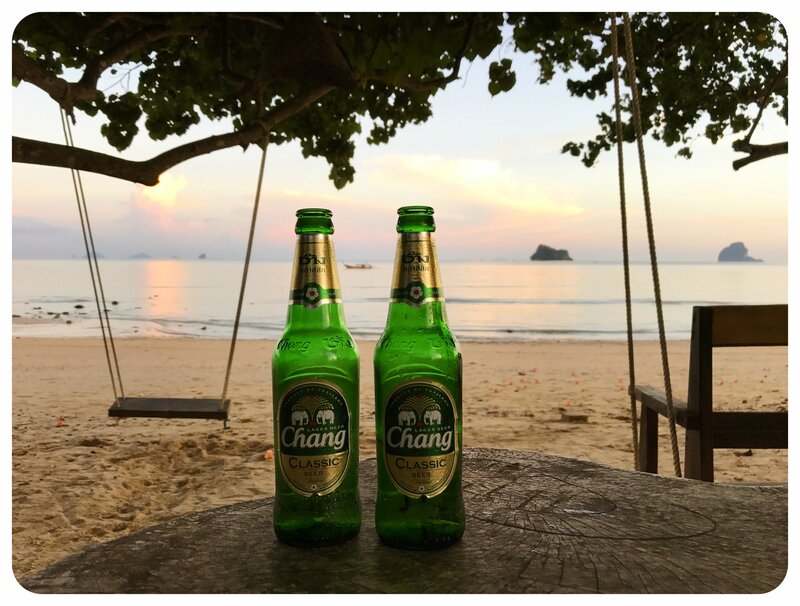 That said, I don’t regret having spent a few nights on the island, but if I was going to plan the same trip again, I’d definitely spend more time on Koh Yao Noi than an even amount of nights on both islands. 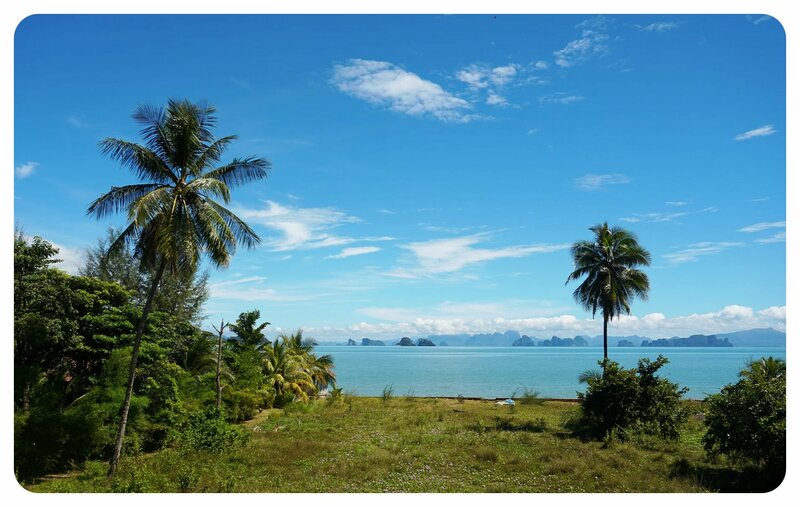 Koh Yao Yai Vs. Koh Yao Noi – Who Is It For? 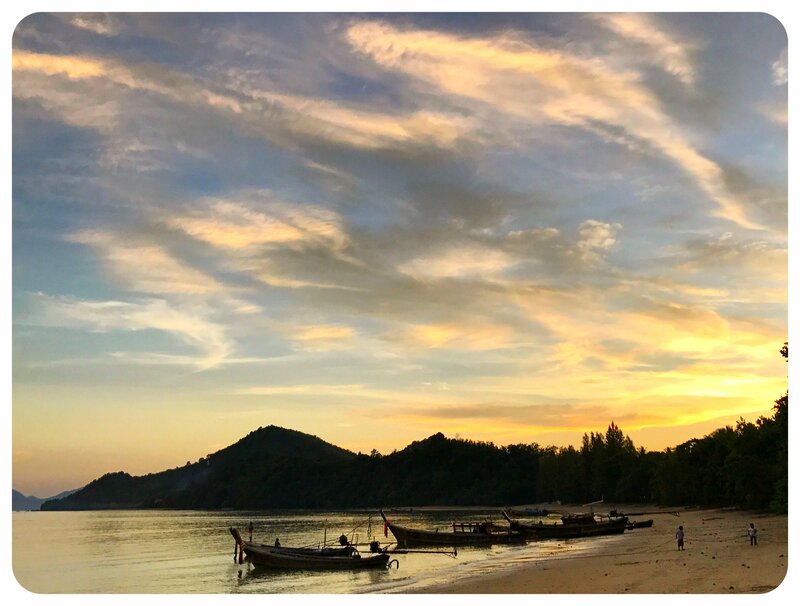 If you want to go to a place that makes you feel like you’ve found the last Thai island paradise that hasn’t been completely overrun by tourists and changed by hotels, touristy shops and chains, you will love Koh Yao Yai. For the most part, the island feels like what I imagine most Thai islands must have been like twenty or thirty years ago. If you want to get a glimpse of the life of local fishermen and don’t want to do much but lying by the hotel pool, you’ll appreciate the tranquility of this island. 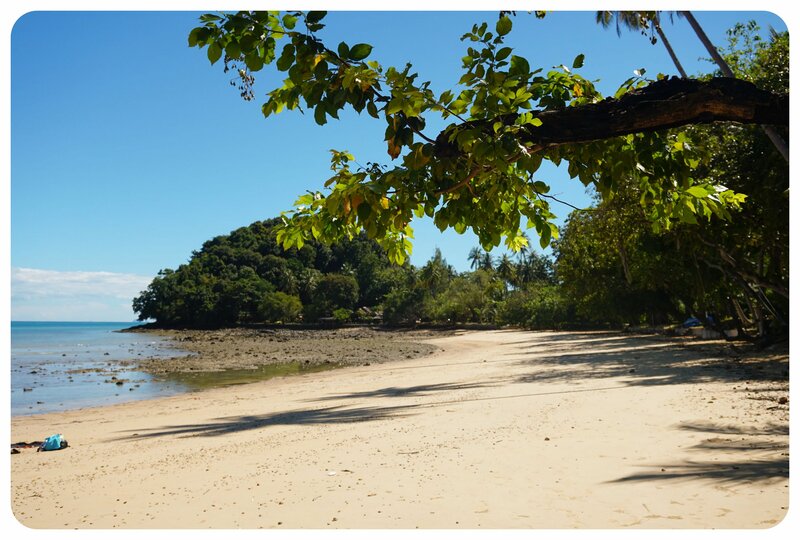 If you want a Thai island that isn’t overly touristy but has some amenities catering to the needs of tourists (air-conditioned coffee shops, Western food, boutique resorts), Koh Yao Noi is for you. 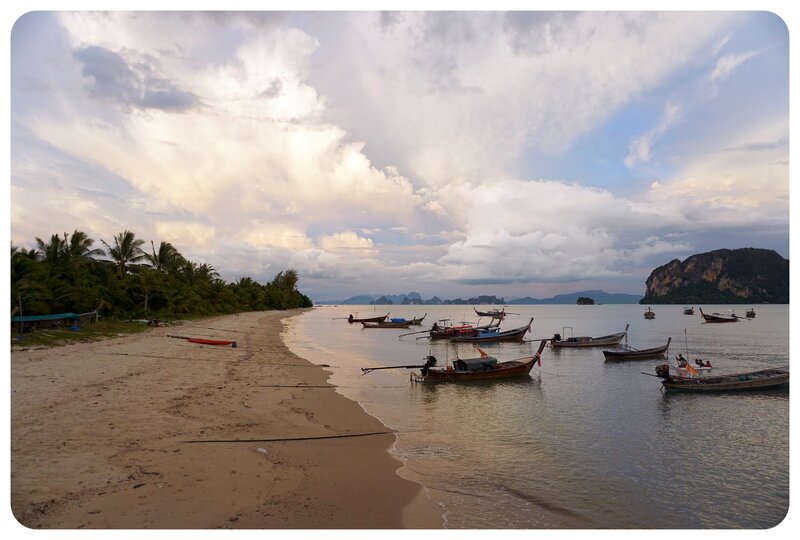 You still have the laid-back vibe like Koh Yao Yai, but the island offers a better selection in terms of beaches, hotels and food, including some high-end eateries. Do not expect any shopping facilities here though – there are a couple of shops in the main village that sell clothes and souvenirs, but they can in no way be compared to the malls in Phuket. Here is some travel information for both islands, including how to get there, available ATMs, WiFi, and where to stay. 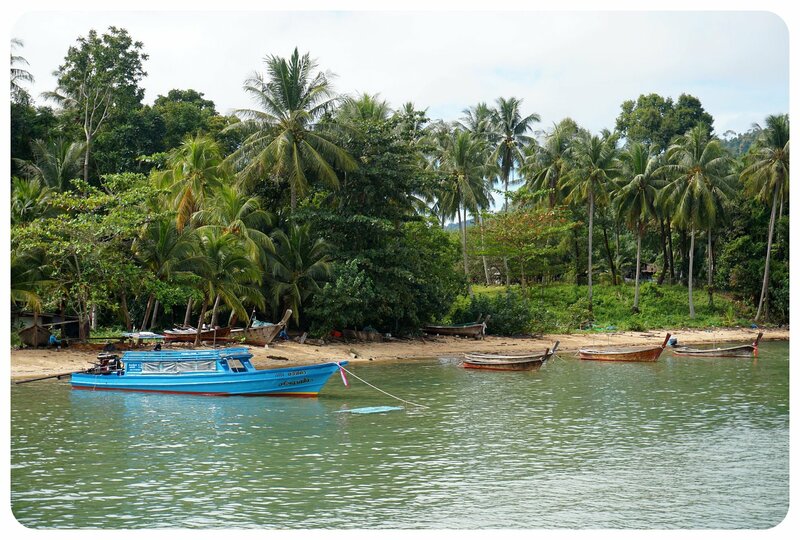 There are ferries from Phuket as well as Krabi to Koh Yao Noi. 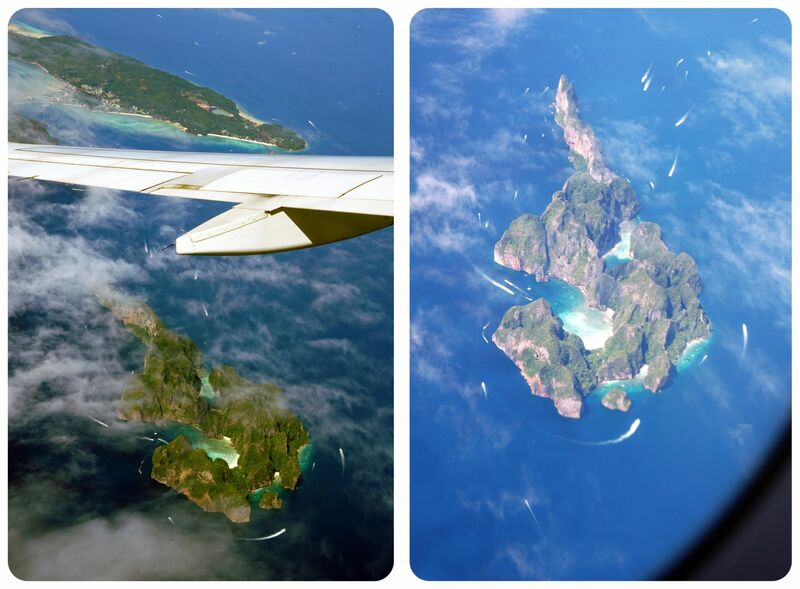 Both are about the same distance from the islands, but in opposite directions (Phuket to the west, Krabi to the east). The ferries leave Phuket from Bang Rong Pier. A taxi from the airport to the pier is THB500 (US$16). 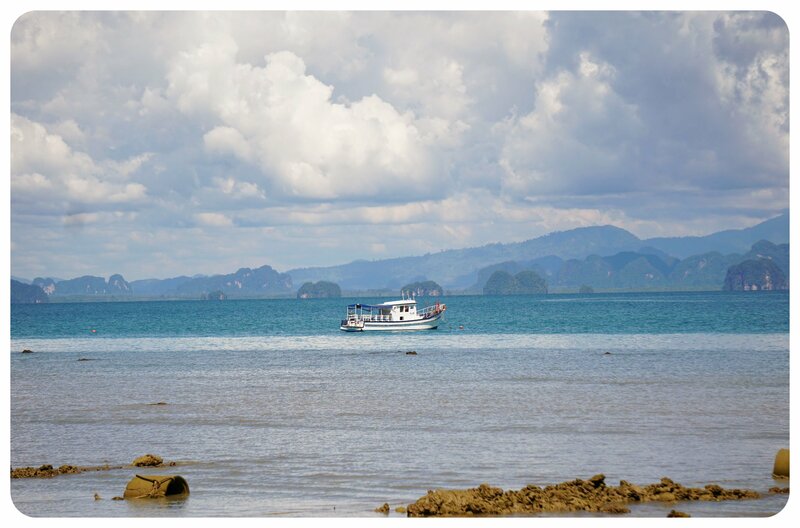 The ferries run about once an hour – there are more frequent fast boats that bring you to Koh Yao Yai in 30 minutes, and the slower, cheaper slow ferries, which take about an hour. The ferries stop in Koh Yao Yai first and continue then to Koh Yao Noi (only eight minutes away). 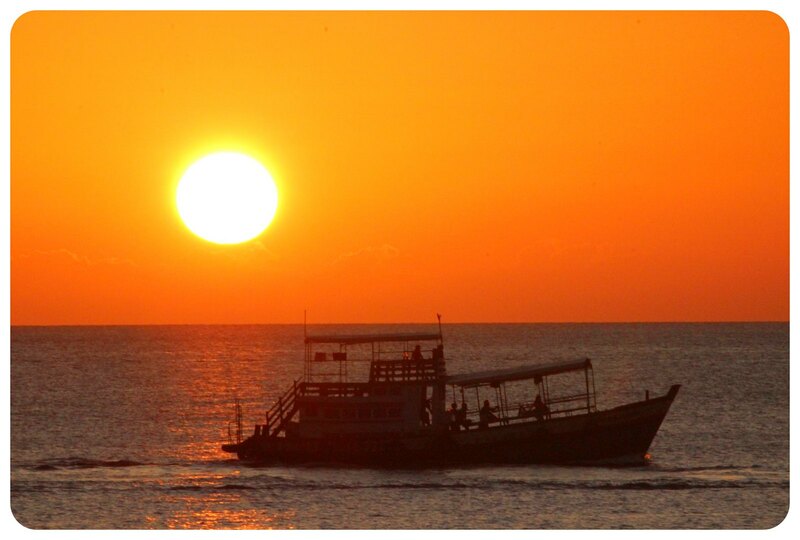 From and to Krabi, the ferries stop at the Tha Krao Pier, and cost THB200. Ferries run nearly every hour during daylight hours. It seemed that pretty much every hotel and every coffee shop on both islands had free WiFi. I couldn’t find any updated information on the ATM situation prior to my trip – but it turns out that both islands have ATMs. Koh Yao Noi had several ATMs around the island, on Koh Yao Yai it was a little bit more difficult – two out of the three available ATMs were out of order when I visited. Luckily, the third one worked! Note that there are no actual banks on the islands though, which means you won’t be able to exchange money. 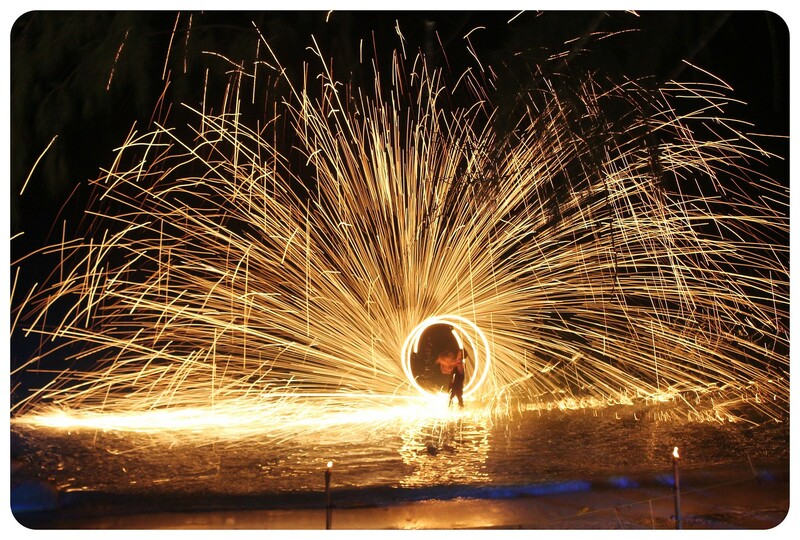 Have you been to the Koh Yao Islands? Which one did you like better? 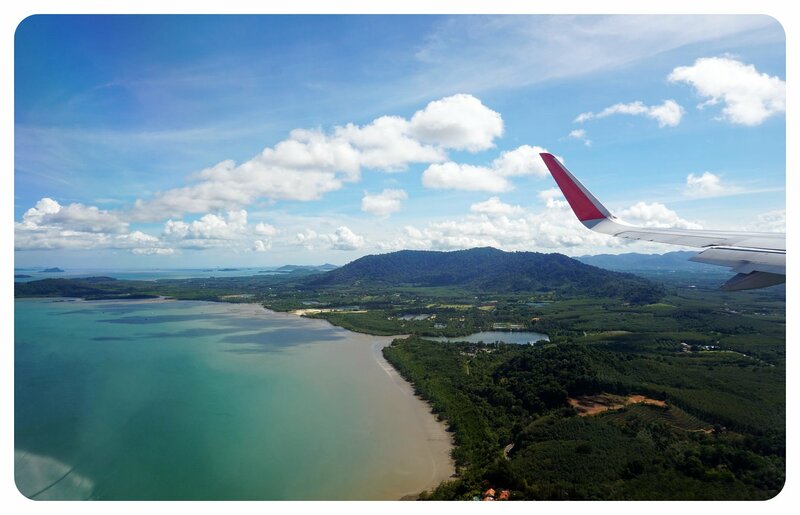 Malaysia has become one of the most attractive tourist destinations in Asia over the last two decades. And how can one visit Malaysia and not visit Kuala Lumpur? From stunning architecture to scrumptious cuisine to adventure sports that can trigger the adrenaline rush: Kuala Lumpur has everything. A mix of cultures; Chinese, Indian, Malay and western. So how can you improve your trip to Kuala Lumpur? 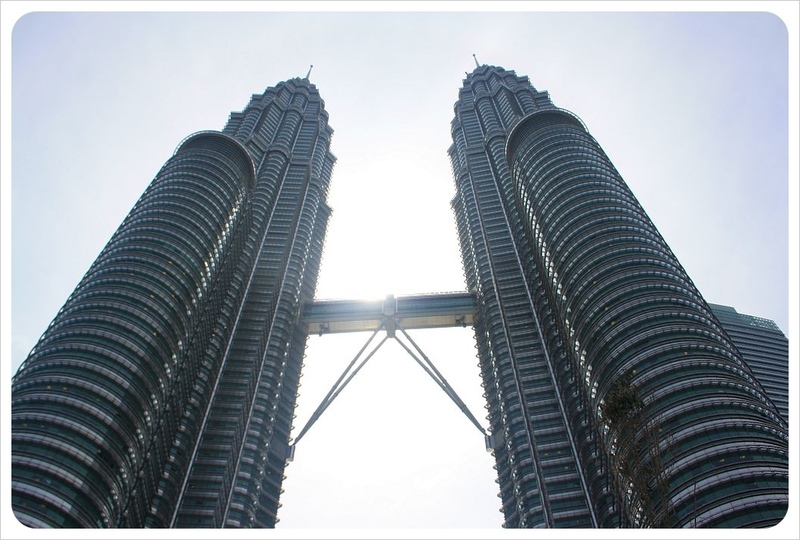 What are the important Sights to see in Kuala Lumpur? These are some of the questions you need to ask yourself before starting your trip. Here are some tips that can help you take a trip to Kuala Lumpur with ease. 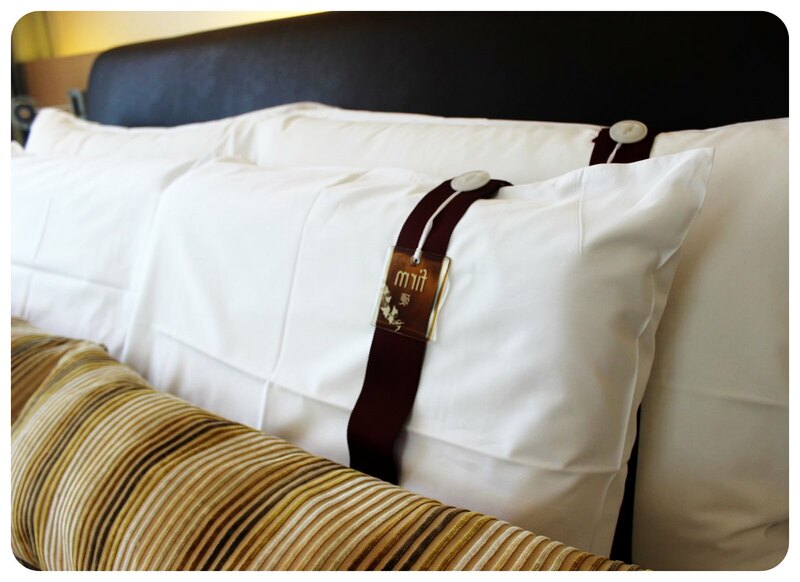 Hotels: You wouldn’t want to pay a fortune for a week’s stay in a hotel. 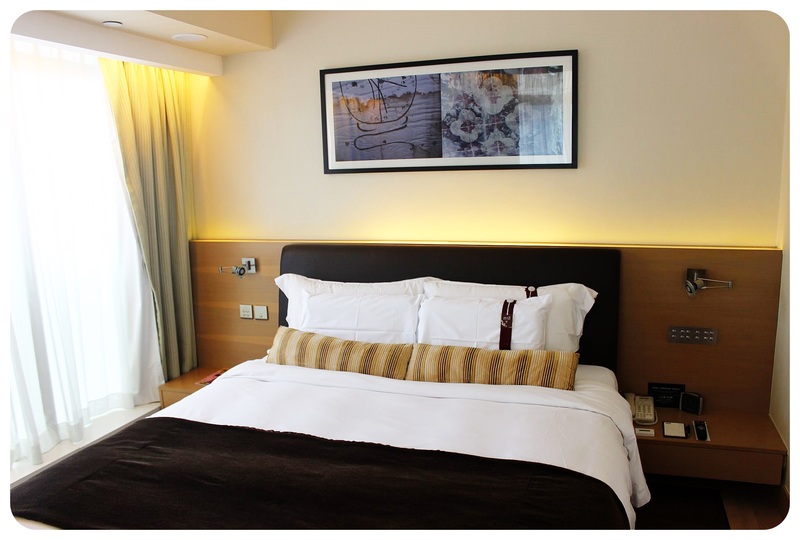 Instead of getting a 3 star or 5 star hotel, rent a clean homestay in Kuala Lumpur. Not only is it more convenient (you can cook and have more space than in a hotel room!) but it also helps you save on your expenses. Transportation: One of the great things about Kuala Lumpur is its excellent public transportation network, which also happens to be very cheap. You can get around quickly without breaking the bank. Instead of going to brand outlets, go to places like Lot 10, you get enough opportunities to bargain. 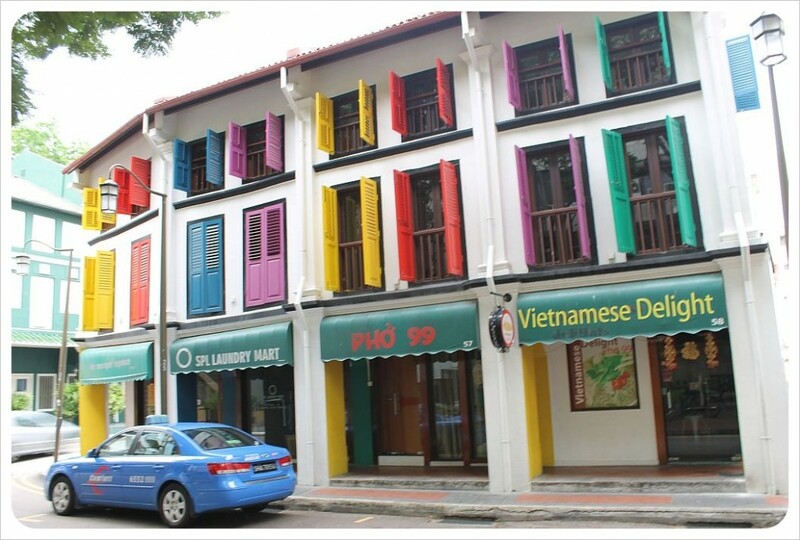 Visit Chinatown and Little India which are very popular among tourists. Quite evidently, you wouldn’t want to miss on the adrenaline rush. There are plenty of opportunities for adventure sports and the best way to take advantage is to get a package instead of going for individual sporting opportunities. Get a package that suits your interests and pay as a whole which will definitely be less than individual sports. 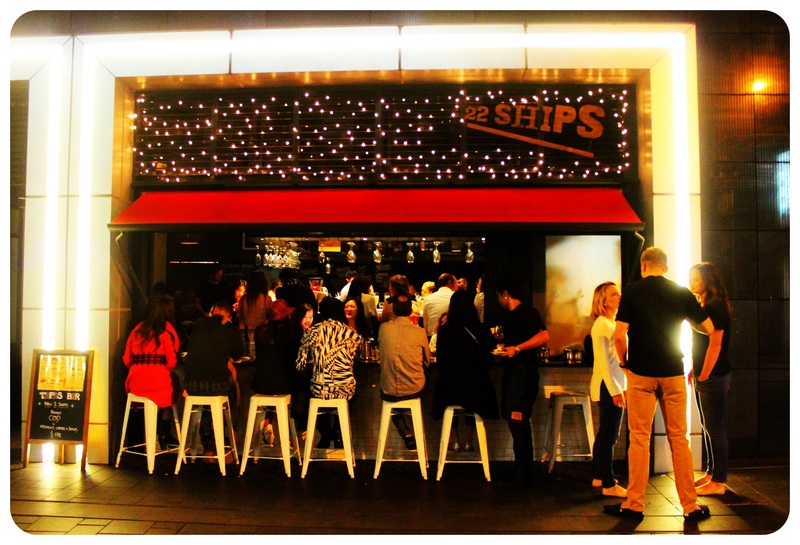 The growing nightlife culture is another thing you wouldn’t want to miss out on. Make sure you are benefitted. Enter any night club and you get a young crowd enjoying their life. These nightclubs are comparatively safe and give you a fun filled evening. 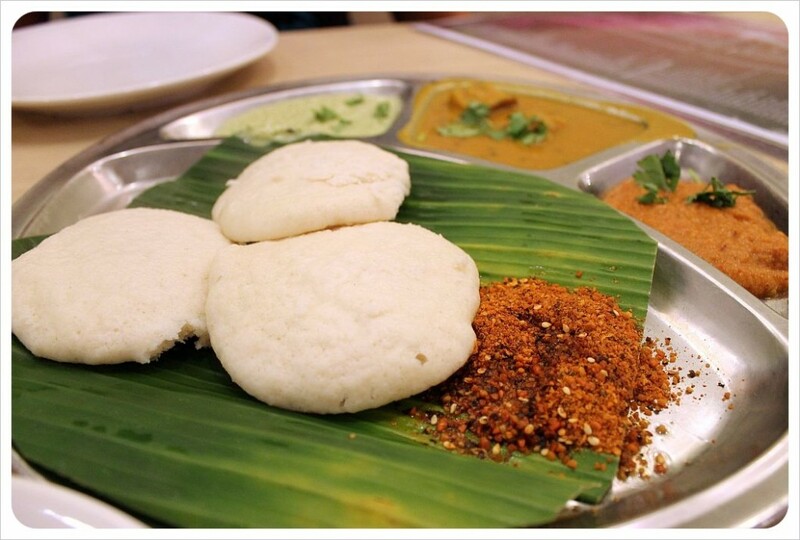 The melting pot of cultures that Kuala Lumpur is, it gives you enough opportunities to explore different cuisines. 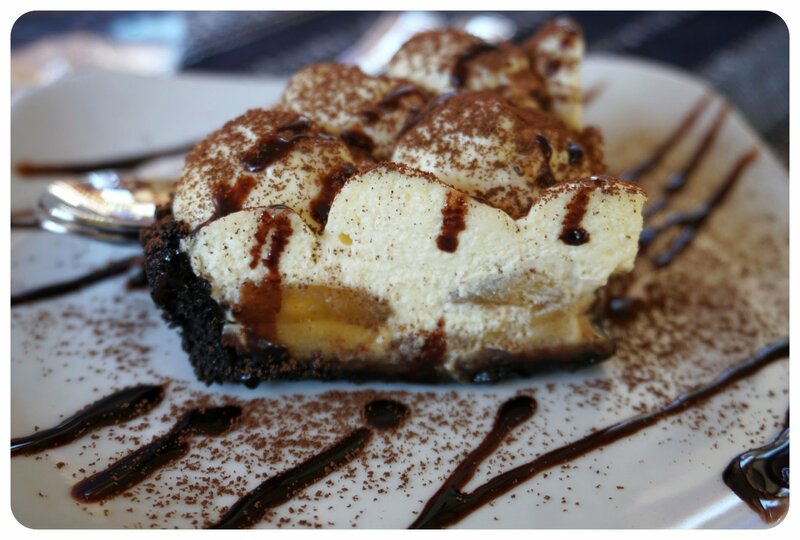 Don’t miss out on mouthwatering delicacies. Have a nice trip to Kuala Lumpur the next time you visit and go economic. As a holder of US passport you need a visa to enter Vietnam. If you are traveling to Vietnam by air, getting a Vietnam visa on arrival is the easiest and best way to you to get a valid visa. At the moment, you may hear that there are up to 3 ways to obtain a visa to Vietnam, consisting of visa at Vietnam embassy, visa on arrival and e-visa. But as a US passport holder, only the first two ones are available for you, and as said before, the second one is best if you travel to Vietnam by air. How to get a visa on arrival to Vietnam for US passport holders? In this step, I recommend you the form on https://booking.vietnam-visa.com/step1.html which is simple and easy to fill out. You need to access this link, and complete the form with just some simple information (purpose of visit, type of visa, arrival airport, arrival date, full name, nationality, gender, passport number, passport expiry date, and contact information). That’s all. Tip for this step: Have your passport next to you while you complete the form to ensure all information you provide is correct. In this second step, you need to make the payment for service fee via online portals (PayPal, OnePay) with your Credit/Debit cards. You will then receive a visa approval letter stating that you are allowed to enter Vietnam within a certain period of time, and a detailed guide on how to get your visa stamped. When you land at the Vietnam international airport, you need to head to the Visa on Arrival / Landing Visa counter there, showing your documents and pay the fee to get your visa stamped. How long you can stay with Vietnam visa on arrival? Which local travel agent you should trust? This kind of visa, despite being issued by the Vietnam Immigration Department, must be obtained through a local travel agent. Which brings up the issue which travel agent you should trust with your money? I recommend Vietnam-visa.com for their prompt and accurate support and timely delivery of the visa approval letter. Reading through their website and Facebook, I also found a lot of great feedback from their clients. 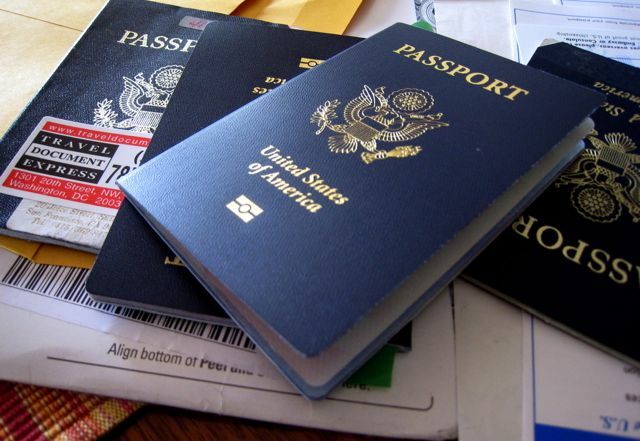 Now you have detailed information on how to get a visa on arrival for US passport holders. But, as I said right at beginning of my post, visa on arrival is only an option if you travel to Vietnam by air. Otherwise, you need to obtain the visa at a Vietnamese Embassy. Over the past few years, I’ve been finding it increasingly difficult to take a vacation. You might be thinking ‘Aren’t you always on vacation?’, but the truth is, that no matter where in the world I am, I always find myself working. Writing articles, answering emails, working on freelance projects, pitching ideas, being active on social media, dealing with the technical side of running an online business, and so on. I am always connected, always checking my emails, and a true vacation is rare. So when I welcomed my first visitor to Thailand and her visit was 100% vacation time for her, I saw this as the perfect opportunity for me to get some R&R, too, instead of working on my laptop until I fall asleep with my head on the keyboard (happens more often than I’d like to admit). The plan was to take some time off together, to splurge on tasty food, take time to relax and to explore together, lay on the beach and enjoy sunset beers. And Koh Tao turned out to be the perfect place to do exactly that. 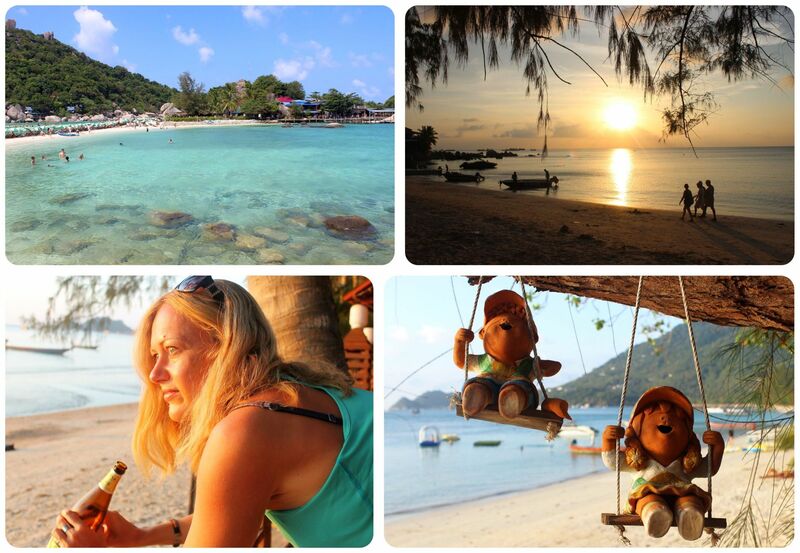 I’d long wanted to visit Koh Tao, the smallest of the three most popular islands in the Gulf of Thailand. 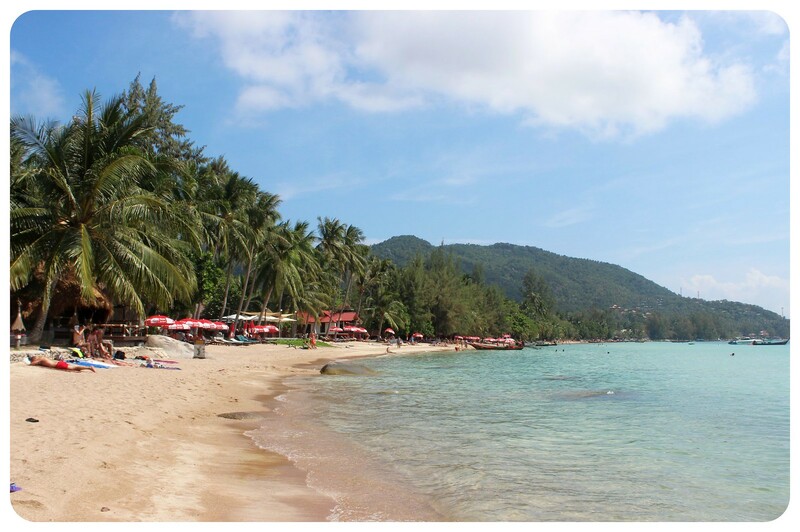 It is less touristy than the other two (Koh Samui and Koh Phangan), known for great snorkeling and diving spots, pristine beaches and a clientele of independent and younger travelers. 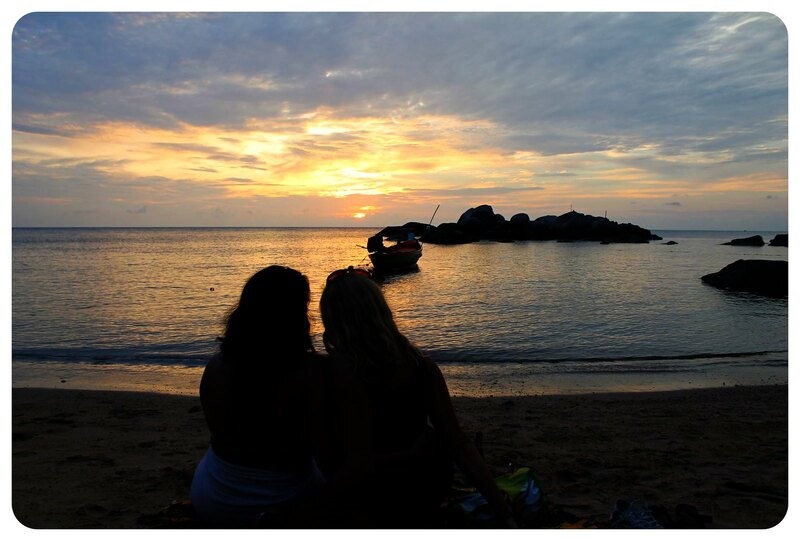 While Samui largely attracts a resort clientele and Phangan is the backpackers haven with now not only a full moon party but also a half moon party, black moon party and I’m sure several other moons to celebrate, Koh Tao attracts mainly divers as it is known to be home to some of the best diving sites in South East Asia. 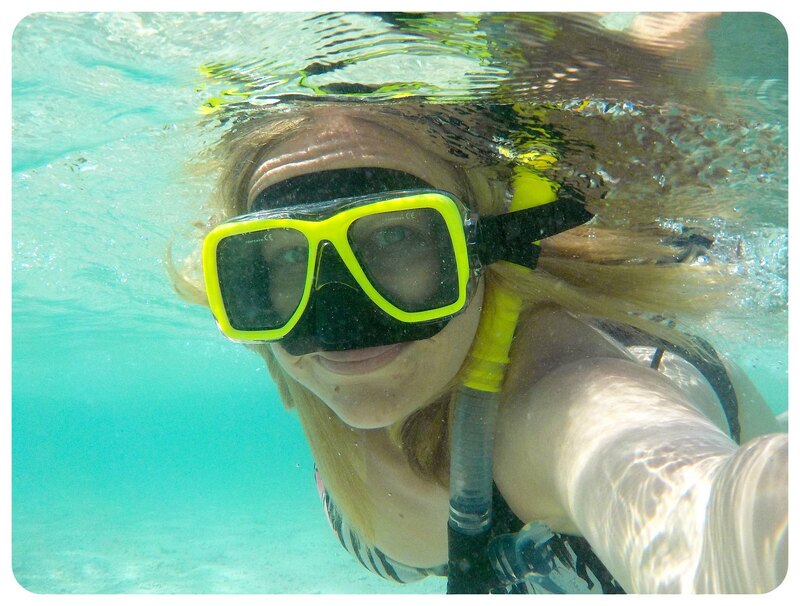 While I still don’t feel the slightest urge to try diving, good diving usually means good snorkeling, which is what I wanted to do. Other than that, I had no plans whatsoever. I was going to experience the island just like everyone else who gets off one of the four ferries that arrive in Koh Tao every day. And I couldn’t have chosen a better place for an island getaway. My days in Koh Tao are a blur of beaches, snorkeling, sunsets, good meals and, yes, occasionally typing away on my laptop in offices like this one: My friend Alex had recommended we’d stay in Sairee Beach, the longest stretch of sand beach on Koh Tao (1.2 miles /1.7km) long, because there, you don’t need transportation to get around, unless you want to see other beaches on the island. For that, there are taxi boats conveniently waiting in the bay for you, and you have plenty of restaurants and bars lining the beach to pick a different one each day. It’s the perfect spot if you want to be right on a beach and have something going on all the time. The only other beach that is similarly busy, but smaller, is Freedom Beach in the south of the island. 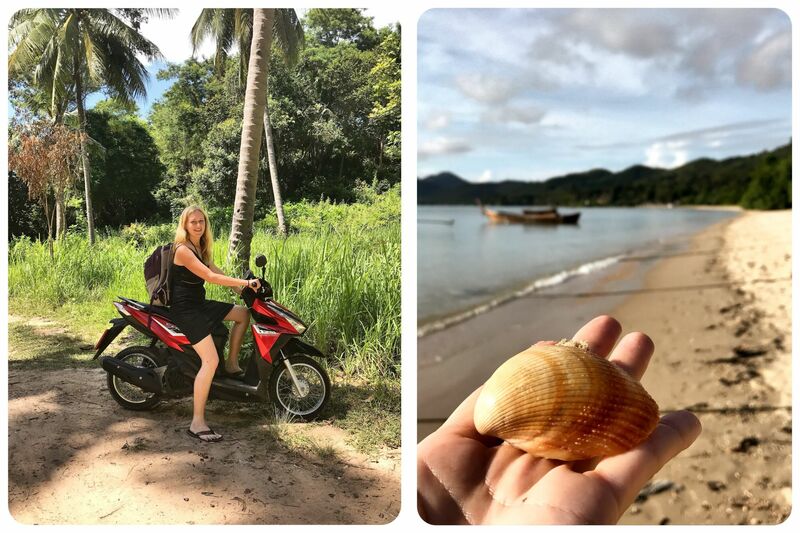 If you prefer a quieter place and don’t mind renting a scooter to get around, there are smaller beaches like Hin Wong Bay and June Juea Bay and plenty of hotels and bungalow resorts scattered across the island, most of them perched on the side of the steep hills that form Koh Tao. As I’ve already mentioned, most people come here to dive and to take dive master courses, and there are around 40 diving schools on the island now. 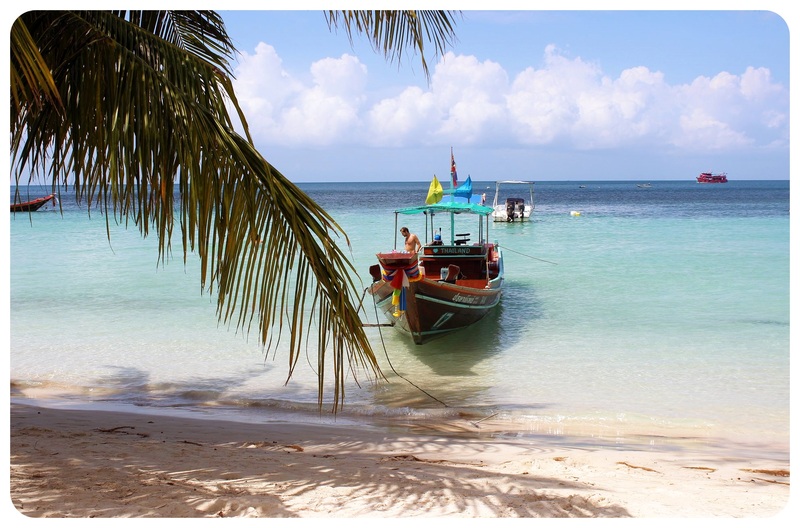 I saw several packages for dive courses including accommodation for around 8,000 baht (around US$224) which is a great deal – and another reason why Koh Tao attracts so many divers, in addition to its many dive sites. 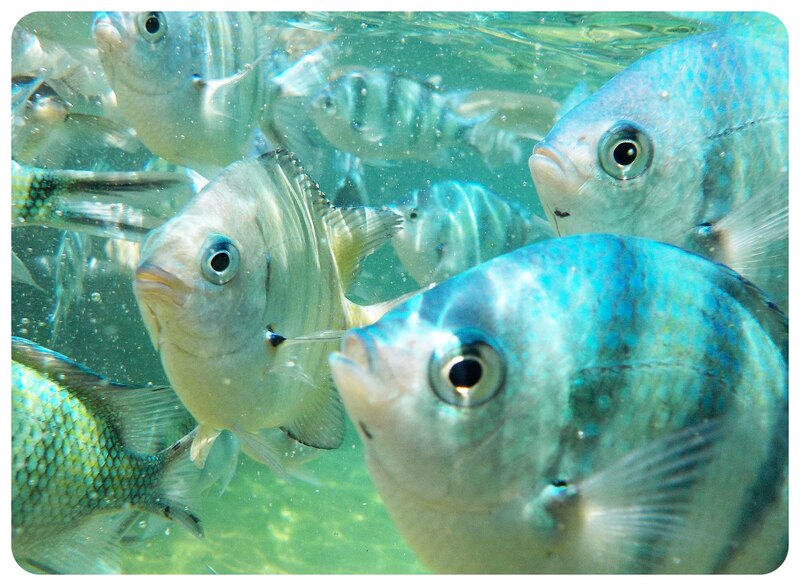 For people like me who prefer to stay above water, there are plenty of snorkeling tours on offer – they usually last all day, circumnavigate the island and include 4 or 5 stops, one of which is the famous Koh Nangyuan, the sight that adorns most of Koh Tao’s postcards and is probably the most photographed spot on the island. On my snorkeling tour, we stopped at Shark Bay where I didn’t see any sharks but a sea turtle (which would’ve compensated for not seeing a shark had I not just snorkeled with turtles in Apo Island, hence I was a bit disappointed), followed by a stop in another bay in the southwest, Mango Bay in the north and finally Koh Nangyuan. 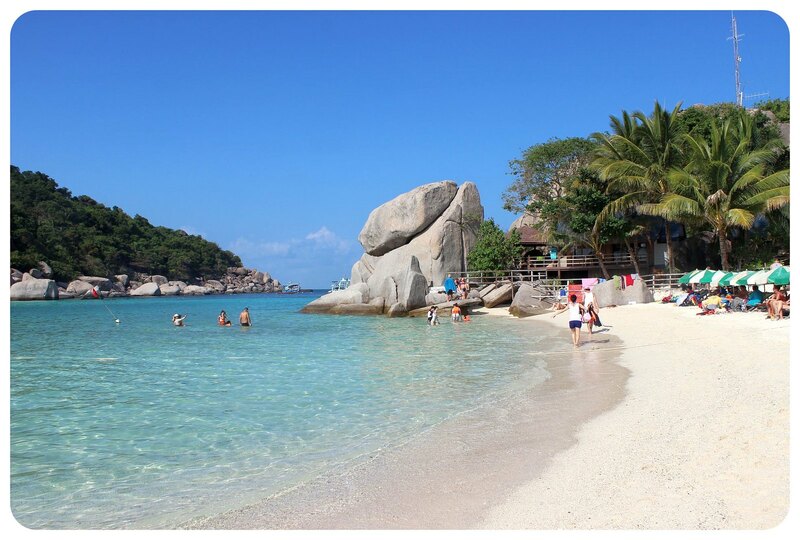 I knew that this tiny islet which is home to only one resort would be touristy, but seeing hundred of tourists lining the pier and the small stretch of beach in between the two rocks was still a shock, especially because Koh Tao just didn’t seem all that busy. Nonetheless, Koh Nangyan is a spectacular sight, and I am glad that I braved the heat and scrambled up the million steps and the rocks to the viewpoint overlooking it all before snorkeling in the crystal clear waters. My favorite beach for snorkeling turned out to be something completely different though, Tanote Beach, a little bay in the southwest of the island, which we stumbled upon when we explored the island with an ATV. Within the first five minutes of being in the water I had already seen more fish than on most of the stops during the snorkeling tour (okay, I might exaggerate slightly here). But it was glorious to snorkel on a fairly empty beach without any boats in the bay and Asian tour groups following their guides in the water on long leashes. There are a couple of beach bars like Poseidon or Mountain Reef where you get drinks and food and also rent snorkeling equipment, swing in a hammock or get a Thai message. Be warned though, the drive down the steep hills to get here was not easy on the ATV, so I can only assume that tackling this road on a scooter is even more nerve-wracking, especially on the way up (I am talking about 90 degree inclines). 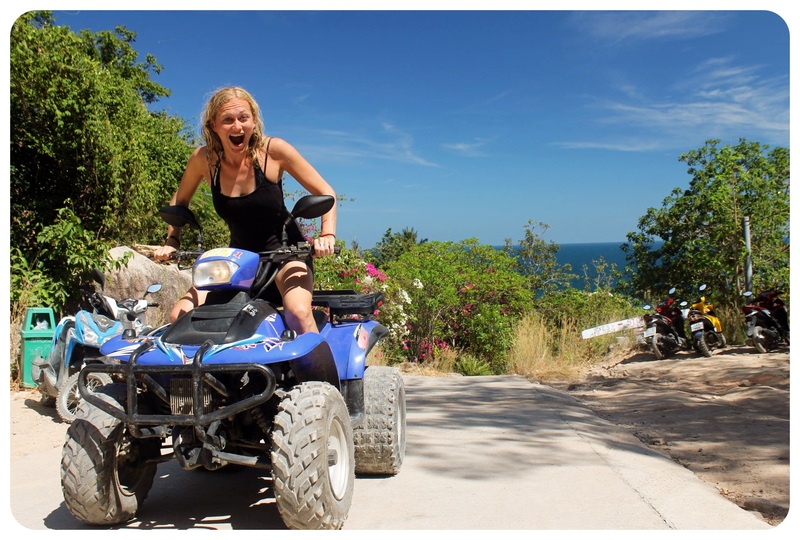 Renting a scooter or an ATV is something I’d definitely recommend to see Koh Tao – if you start early, you can even see the entire island in one day, beach stops and various viewpoints included. 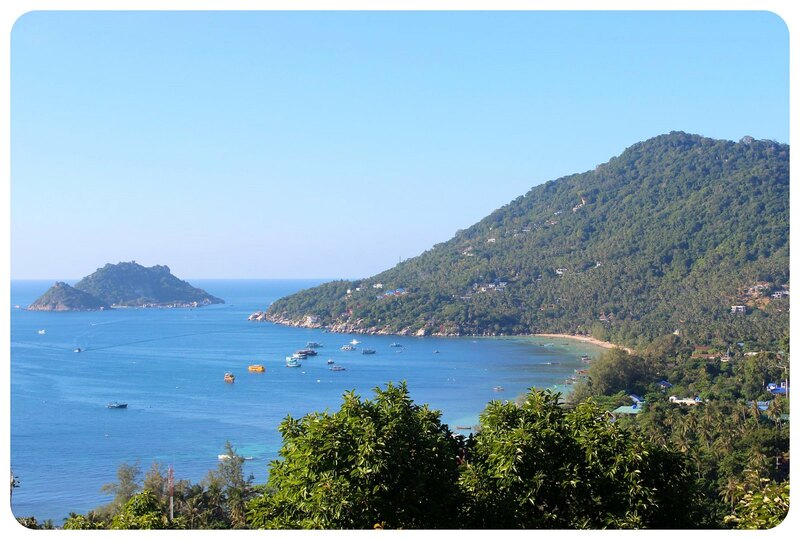 Our favorite stops of the day were the ‘I love Koh Tao’ viewpoint (I am not sure if it is known by another name) and the Dusat Buncha beach resort viewpoint right across from Koh Nangyan. 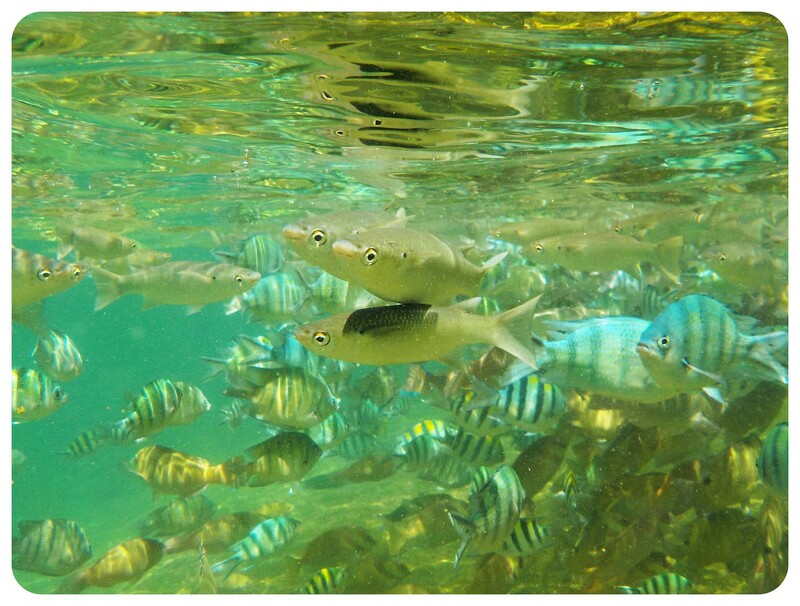 If you have snorkeling gear, make sure to bring it, as there is a small but fantastic snorkeling area to which non-resort guests have access. (If you don’t have your own gear, you can rent it there for 100THB). If you don’t want to rent a scooter, you can take a cab to most beaches, and taxi boats to the ones with limited road access. 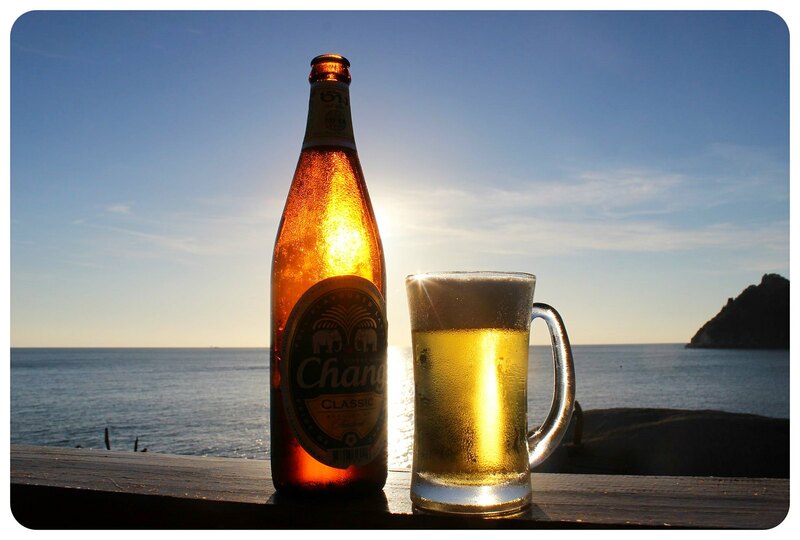 One day, we took a boat to Sai Nuan Beach where we snorkeled until the sun went down, followed by our daily ritual of sunset drinks, that night at Banana Rock Bar, one of the most scenic bars on the island, set on stilts above the water with perfect sunset vistas. The thing that surprised me the most was just how many restaurant there were on the island, especially in Sairee – and almost of them serving finger licking good food. 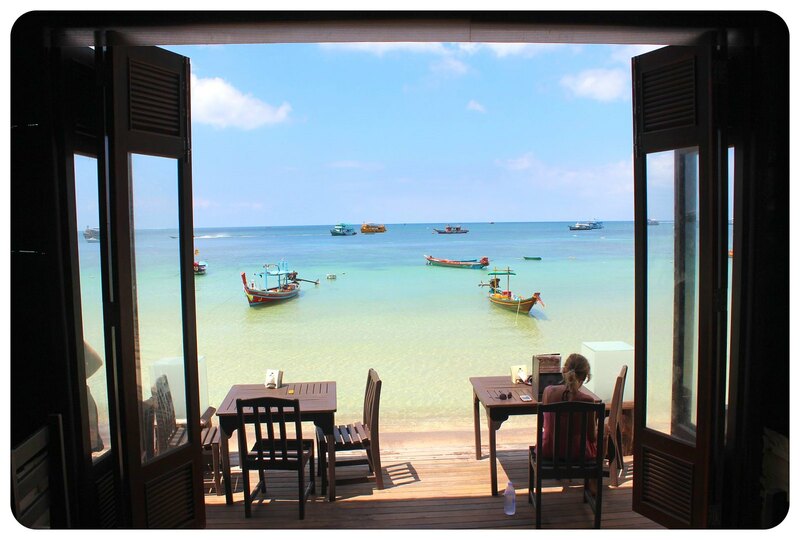 From beach side restaurants that serve fresh fish straight from the BBQ every night to impressive Italian cuisine and fancy tapas dishes and authentic Indian food, there’s almost nothing you can’t get in Koh Tao. 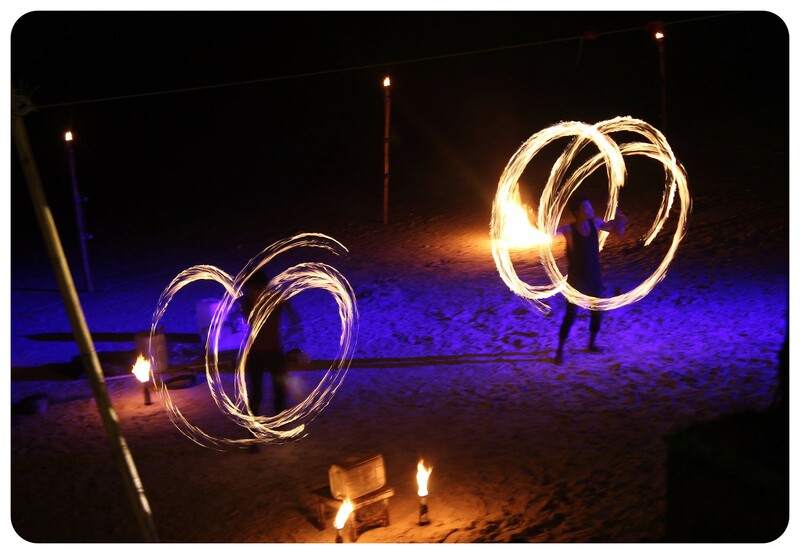 As soon as the sun goes down, the fire dancers come out, entertaining the crowds in the beach bars with their jaw-dropping skills – I mean, just look at this: Several bars like the Sunset Bar, Next2, Fizz or The Rock have DJs playing and it never takes long until people start dancing on the beach. 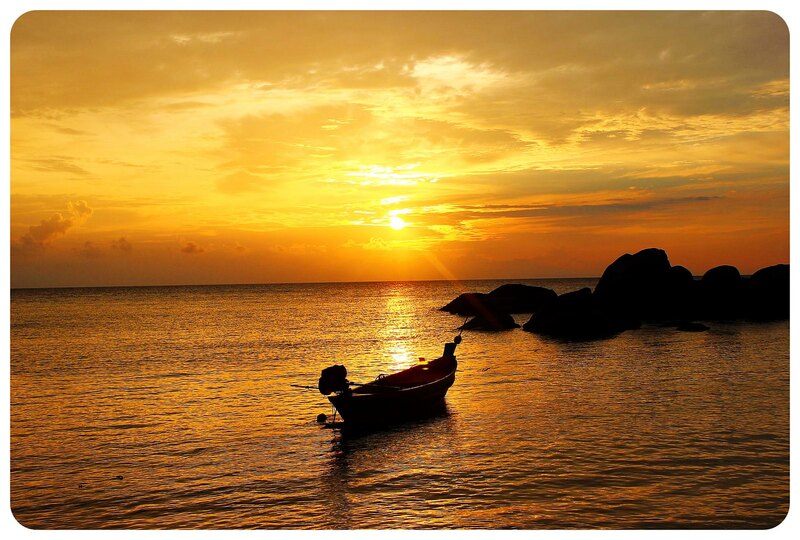 Koh Tao is the perfect place for an island getaway, no matter if you dive or not. Bring a book, swing in a hammock, laze at the beach and just enjoy this little bubble far off the craziness of Phuket or Phi Phi, and trust me – you’ll have a hard time leaving. 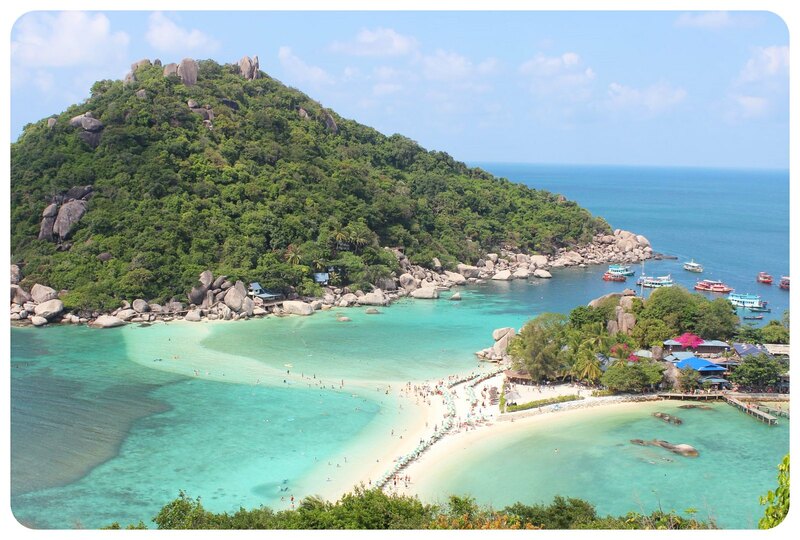 The fastest way to get to Koh Tao from Bangkok is Nok Air’s plane and ferry ticket (starting at BHT1,800 / US$50 for a return ticket). 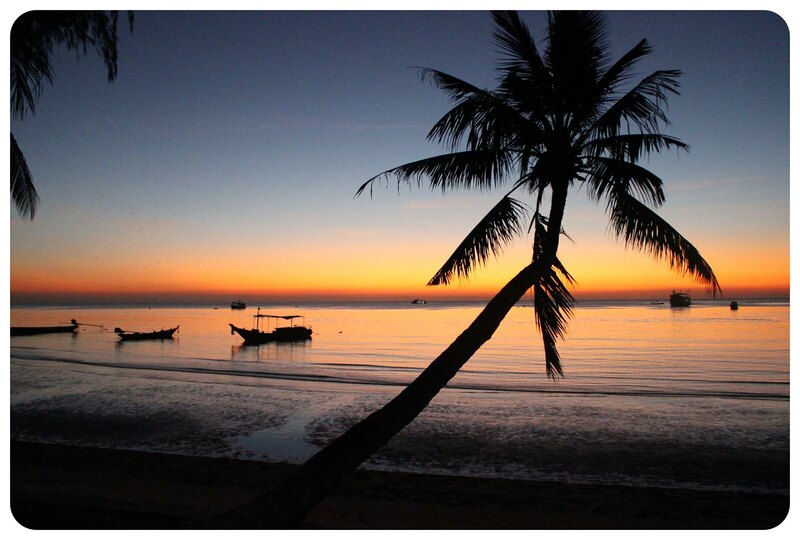 There is no airport on Koh Tao, the closest one is on Koh Samui or in Chumphon. From both places you’ll have to take a ferry, and from the airport on the mainland it takes about 90 minutes to reach the pier. Note: Nok Air leaves from Bangkok’s Don Mueang airport, not from Suvarnabhumi. The other option would be taking the bus from Bangkok to the ferry, or the train. If you’re taking the bus, there are also ferry and bus combo tickets, especially around Kao San Road. You can sign up for a dive course before you get there or just check out the various schools and their packages when you arrive on the island. To get an idea of just how many dive schools there are on Koh Tao, check out this comprehensive list on Wikitravel. 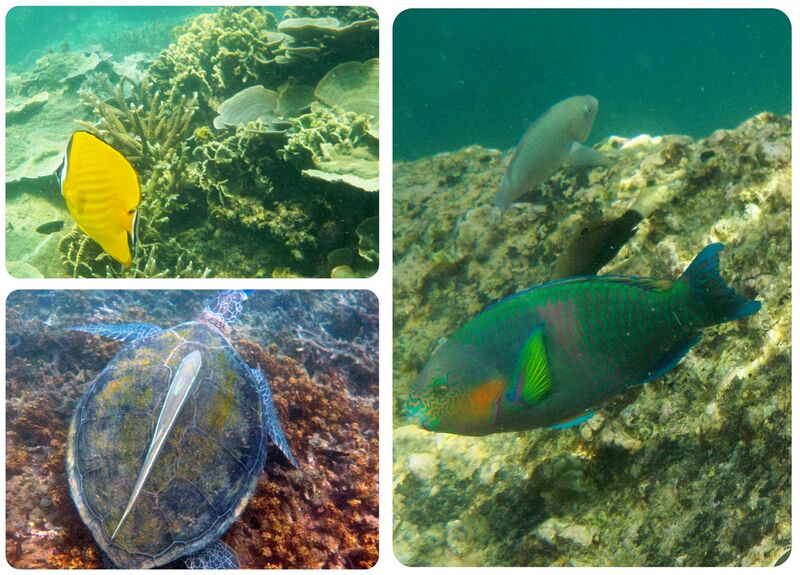 The cheapest snorkeling day trip I found was at AC resort in Sairee – 600 Baht per person. Most other places charge 750. All trips include water, coffee, tea, fruit and lunch. 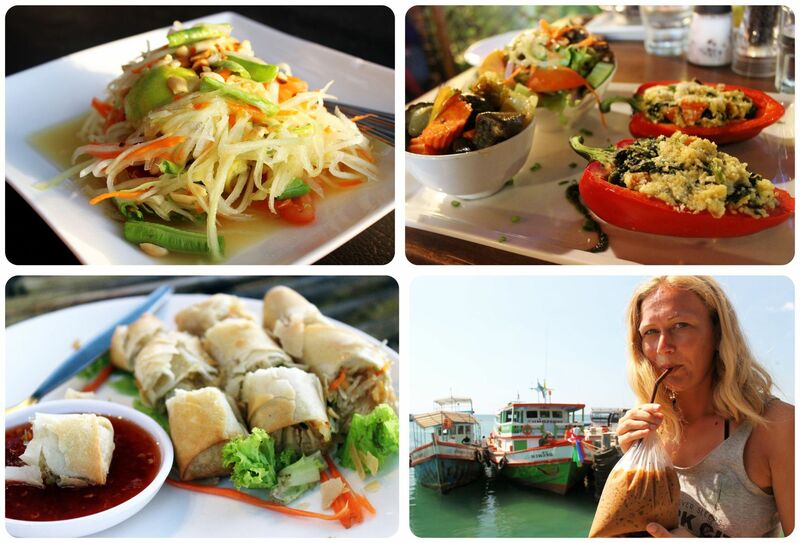 If you love Thai food, you will have a hard time finding a place that serves bad food! Even the small cheapie road side stands make good Thai dishes, but most restaurants don’t charge more than 100 baht for a Thai meal. Fresh fish from the BBQ ranges from 150 to 450 baht. 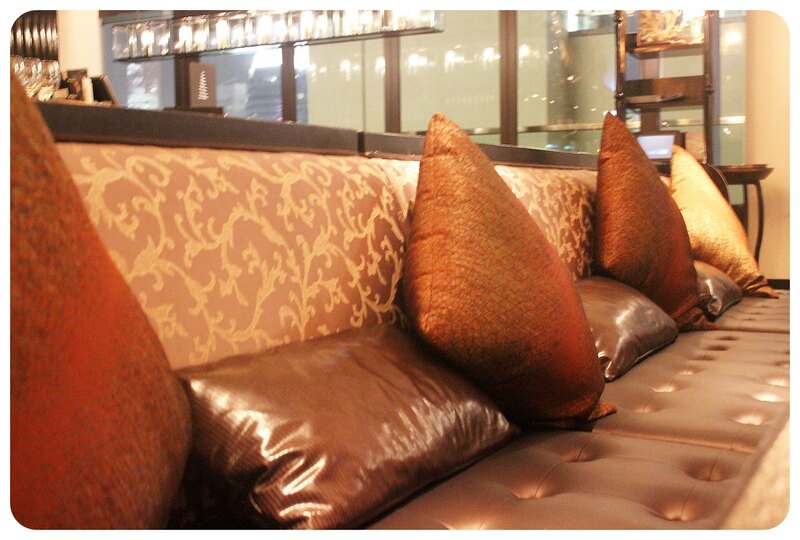 Fancier restaurants with western dishes usually charge 150 – 300 baht per dish. Barracuda was a nice splurge with good non-Thai vegetarian options, and Zest was my favorite spot for breakfasts but they also make excellent salads and sandwiches. 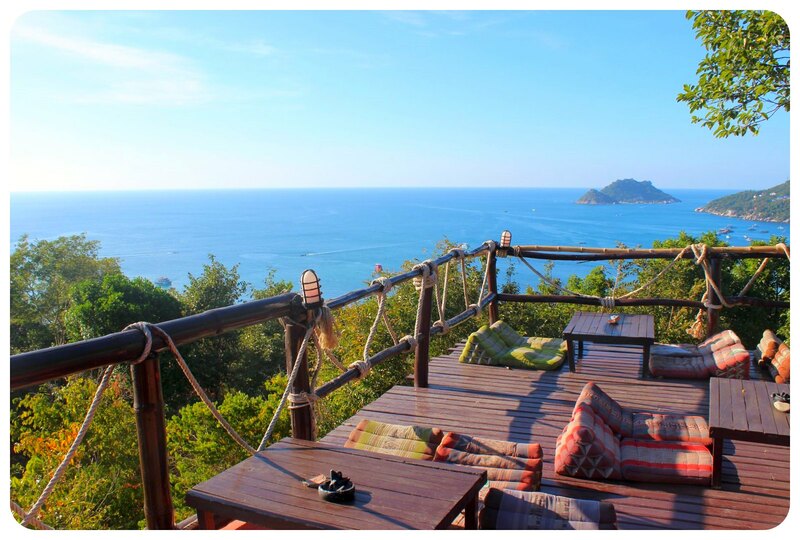 Serendipity is a great spot to watch the sunset with drinks and food (set high on a hilltop, with views over Sairee Beach), as is the Dusit Buncha restaurant (facing Koh Nangyuan). There are several other viewpoint restaurants on the road to Mae Haad. Take a bus into Hong Kong. 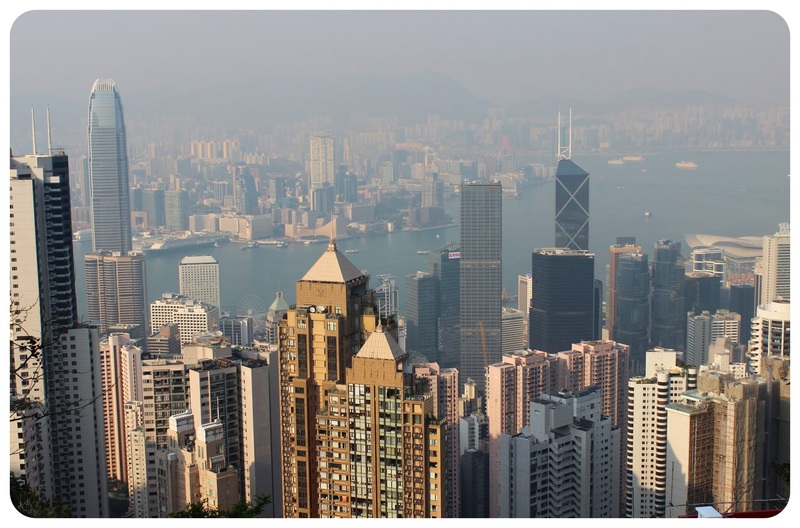 The buses to the airport leave from Kowloon and cost HKD39 (US$5.02). 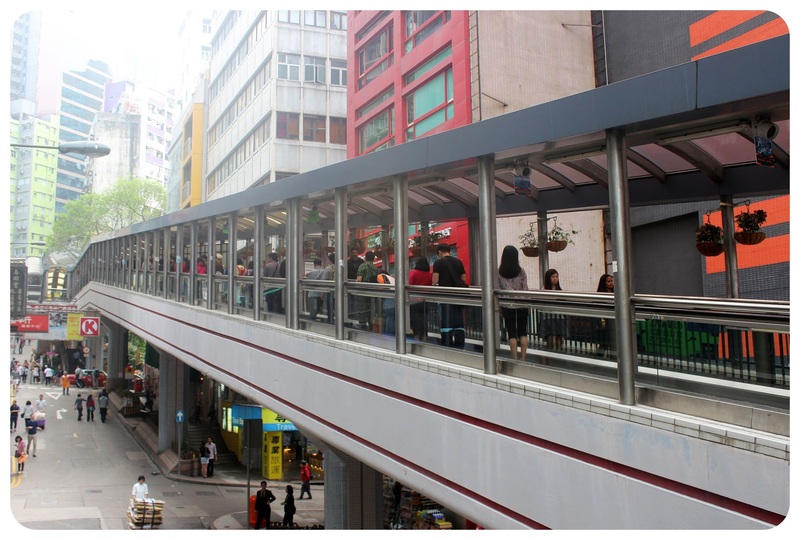 In Kowloon you can change to the subway, which is HKD5 to 15 (US$0.65 – $1.95), depending on how many stops. Luckily, Hong Kong’s transportation network is excellent and there is absolutely no need to waste money on taxis. I navigated my way around the city with the help of GoogleMaps ‘Public transport’ option which always showed me the correct buses or subways to use. The cheapest mode of transportation? 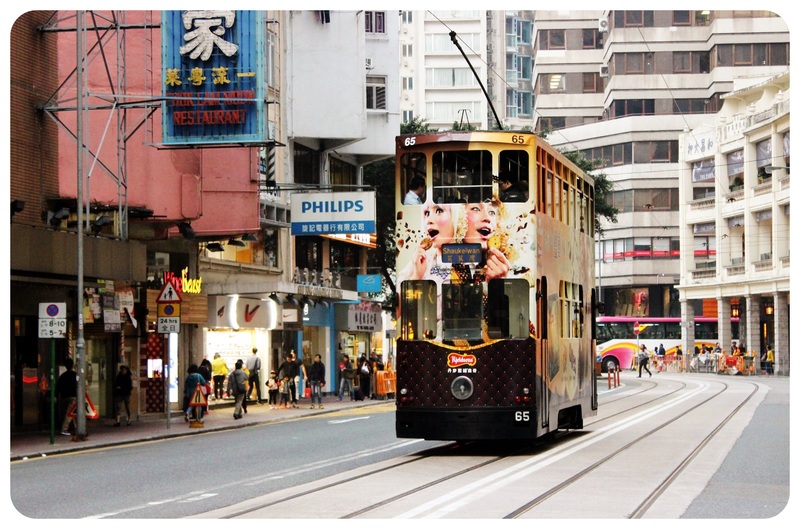 The tram, which covers parts of Hong Kong Island, and is only HKD2.30 (US$0.30). Like I mentioned above, subway tickets range from about HKD5 to 15 (US$0.65 – $1.95) and buses are even a little bit cheaper. 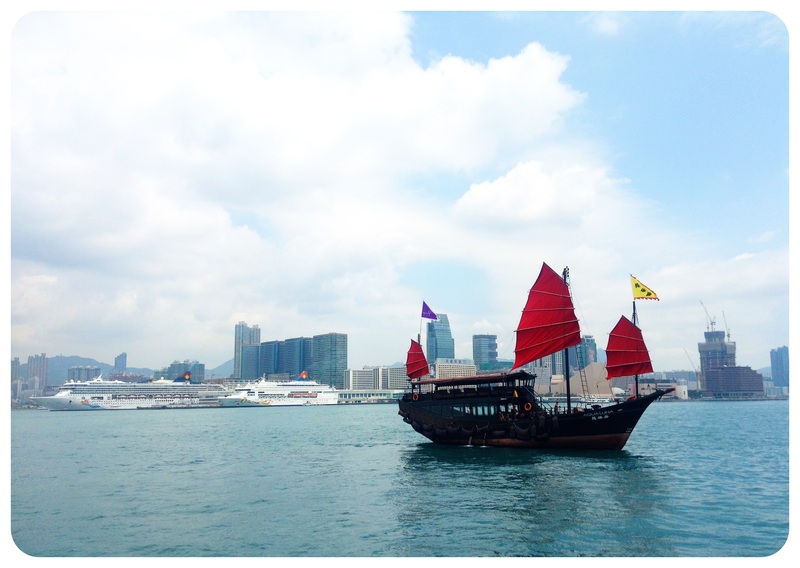 The Star Ferry, the most scenic way to get from Kowloon to Central or vice versa, is ridiculously cheap: HK$2.50 – US$0.32! Hong Kong has a card system, the Octopus Card, comparable to London’s Oyster Card, which you credit with money for public transportation, but you can also pay with it in shops like 7-11. You also top up your Octopus Card at a 7-11 stores, or at an MTR (subway) service center. Note that you pay a HK$50/US$6.45 deposit on the card – don’t forget to get it back before leaving Hong Kong. 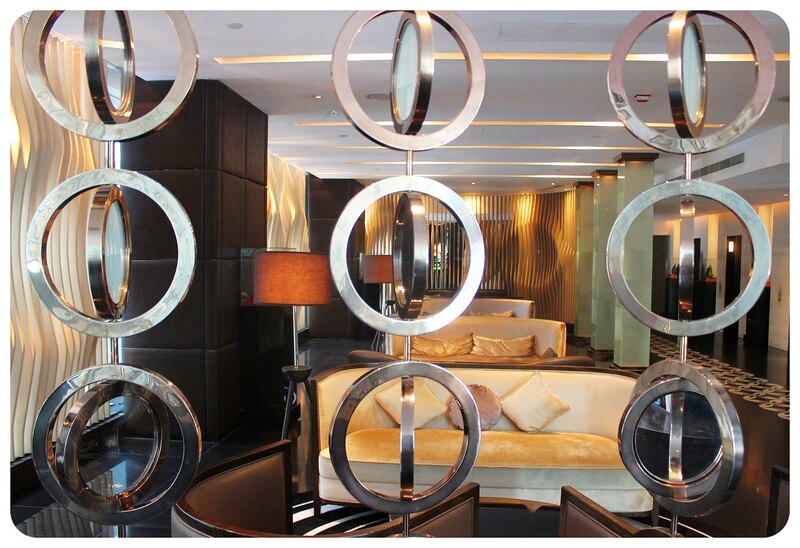 Accommodation is without the doubt the most expensive aspect of a trip to Hong Kong. Hotels start at around $110 for a comfortable 3* hotel, and you can find good hotel deals for less than $200. My tip: do your research beforehand and take advantage of cheaper rates – you can find some incredible hotel deals by booking online. My first trip to Hong Kong was made pretty miserable by the poor accommodation choices I had made (and by not booking anything in advance for the entire duration of my trip, leaving me with very few and very bad hotels to choose from when I had to move hotels). 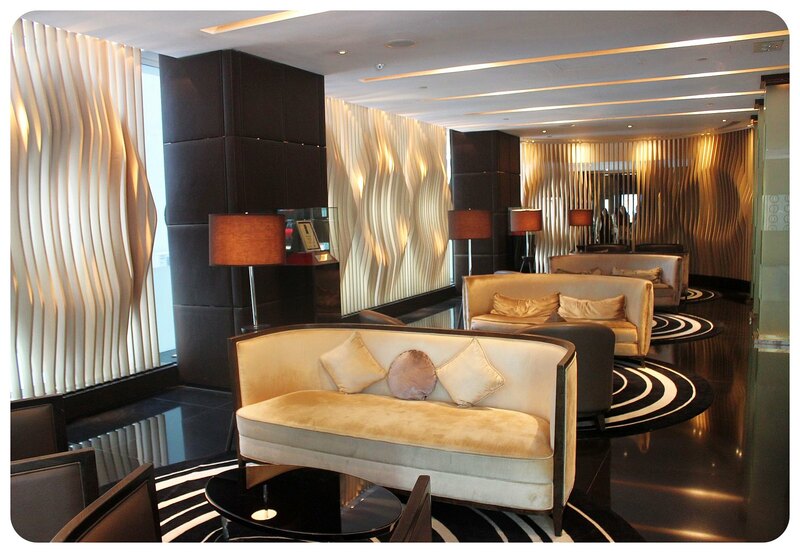 Make your stay comfortable with one of the best hotels in Hong Kong which you can find on online discount websites. 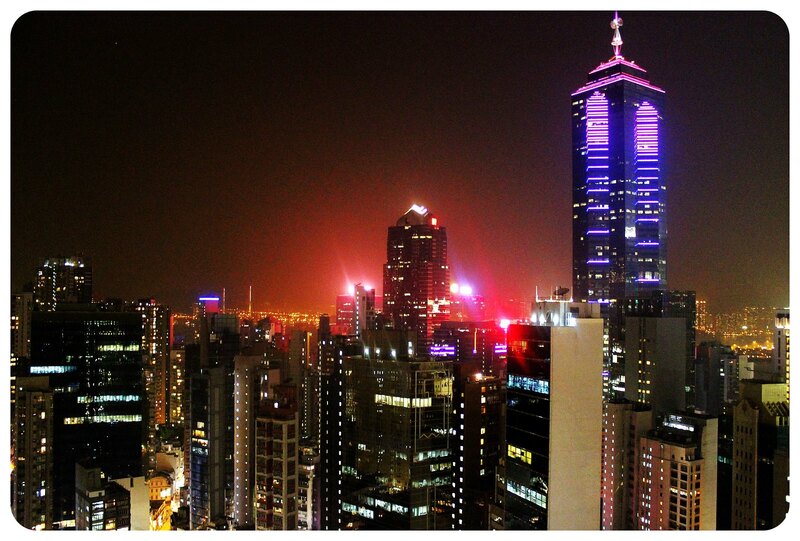 I stayed in Kowloon on my first visit, but enjoyed staying in Central more, which I did during my second visit. I also found the hotels to be nicer in Central. If you’re on a very tight budget and plan on using hostels, expect to pay US$25 – 28 for a dorm bed or $60 for a private room in a hostel. I don’t think I paid anything for sightseeing in Hong Kong – just what it costs to get to a certain place, like the Giant Buddha or the Peak. But even the Peak is free if you, like me, want to combine sightseeing with a little workout and decide to walk up the mountain. It also saves you the HKD40 /US$5.05 for a return ticket for the Peak Tram. To get to the Big Buddha, take the subway to Tung Chung station. From here you can either take the scenic yet pricey cable car (HKD125 round trip /US$16.10) or opt for the bus instead (HKD17.20 /US$2.22). Or hike up the mountain – it’s quite a strenuous hike, but it’s free 🙂 Other main attractions that are completely free? The Avenue of the Stars, Hong Kong’s answer to LA’s Walk Of Fame, is free, as is the Symphony of Lights, the world’s ‘Largest Permanent Light and Sound Show’ (according to the Guinness Book Of World Records), which takes place every night at 8pm and is best seen from the Avenue of Stars. Strolling over the markets, such as the Ladies Market or Temple Street Market, is also free (and great for cheap souvenir shopping! ), the beaches are free and only cost the ferry tickets to get to them. 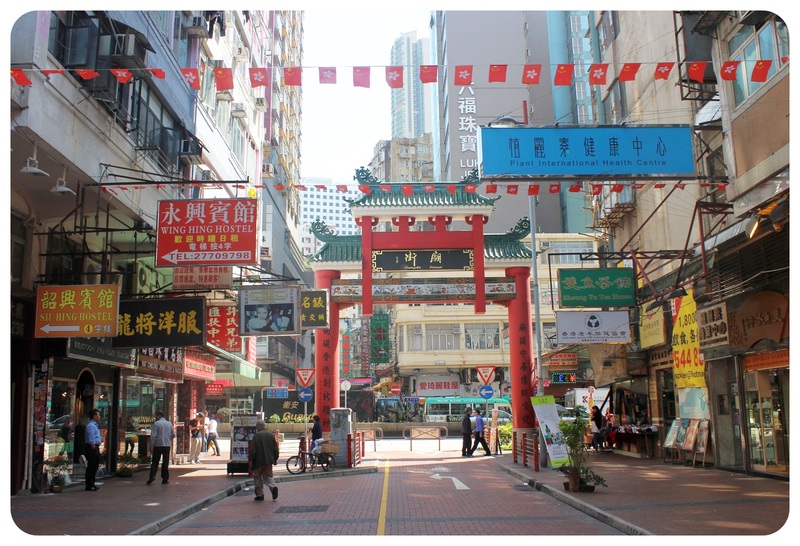 Also: wandering the streets of Kowloon and Central is an excellent way to get to know Hong Kong, and it doesn’t cost a penny. In Central you can also ride the world’s longest escalator for free and pop into the Chinese temples, which are all worth a visit. 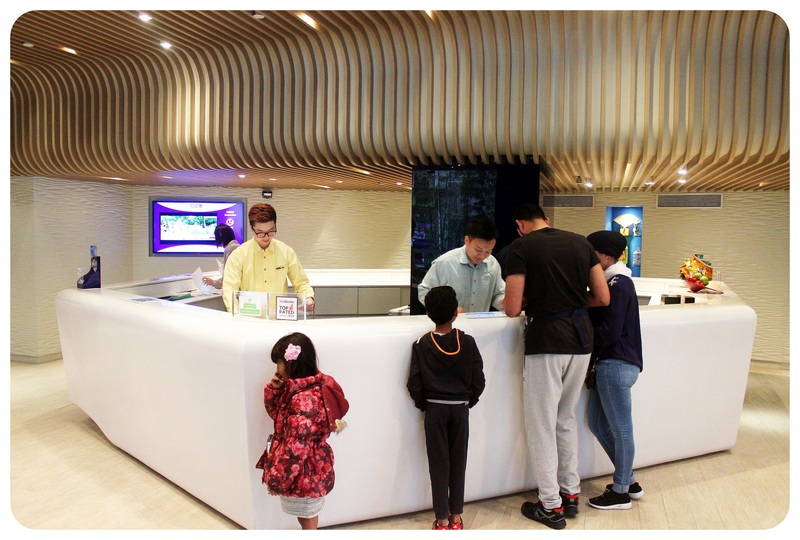 Two pricey Hong Kong activities you can easily replace with free versions: Instead of visiting the Sky100 observation deck (cheapest ticket is HKD168 /US$21.65), visit the sky lobby on the 46th floor of the Central Plaza skyscraper which can be visited for FREE! 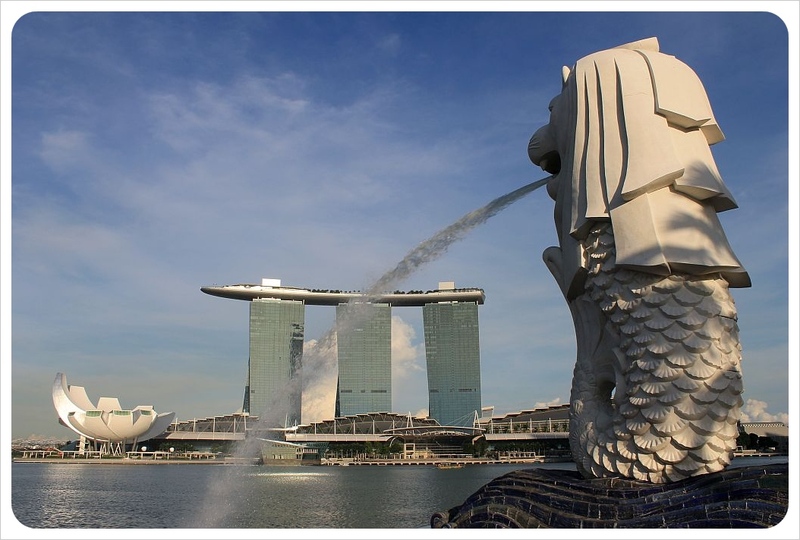 Instead of taking the hop-on hop-off sightseeing bus (tickets start at US$57), take a much cheaper sightseeing tour on a local bus – it’s much better for people watching, too, and it’ll only cost you a couple of bucks. 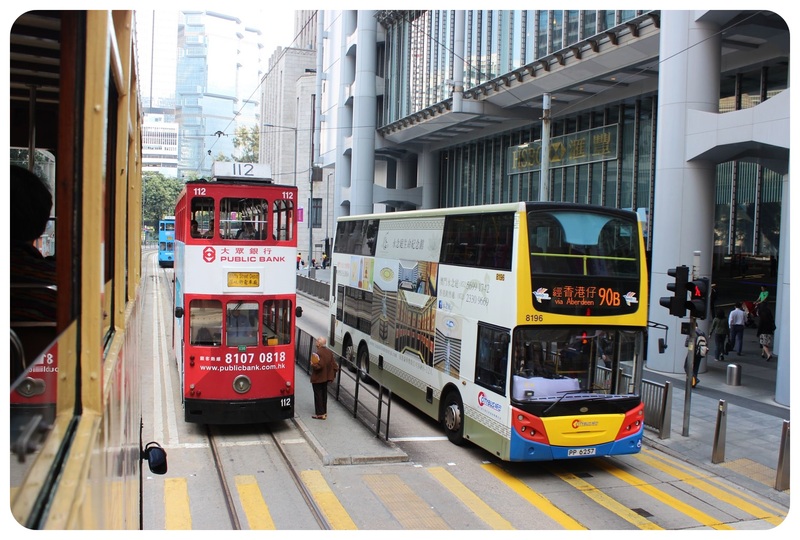 CNN Travel listed the best bus routes to take in Hong Kong. 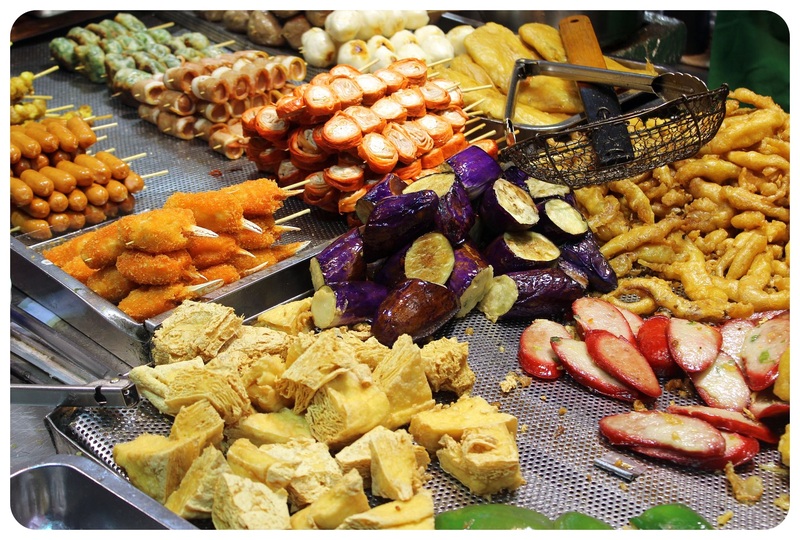 Street food is the least expensive option in Hong Kong – for a proper meal in a restaurant I paid as much in Hong Kong as I’d pay in the U.S. A cup of coffee is around US$3, a latte around US$6 (that’s in a nice coffee shop, not at McDonald’s!) A large americano at Starbucks is HK$27/US$3.48), and if you’re lucky enough to find a cheap meal, it’s going to set you back at around US$10. Whenever I treated myself to a nice meal, I easily spent US$20+ on a main dish and a drink. Cheap local fast food chains are Café de Coral and Maxim’s MK – you can get a meal here for less than US$5 and they have English menus. A meal at McDonald’s starts at around HKD30 (around US$4). A beer in a bar / restaurants starts at US$7, a glass of wine at around US$10. Beer and wine in a 7-11 convenience store or supermarket are much more affordable. Tap water is drinkable, so don’t spend money on bottled water. Have you been to Hong Kong? If you have any budget tips, feel free to share them in the comments below! 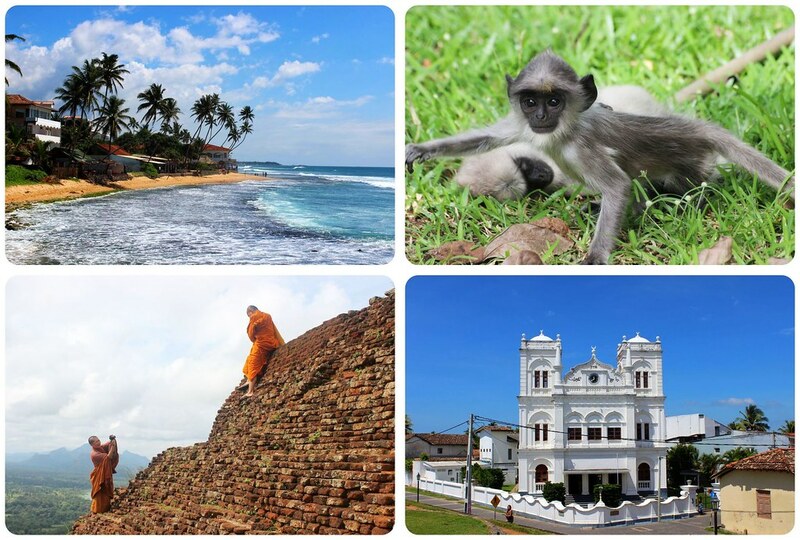 I spent five weeks traveling around Sri Lanka just before the main tourist season started, still enjoying the bargain deals of the low season and seeing prices go up in the high season – this applies mainly to accommodation, however. 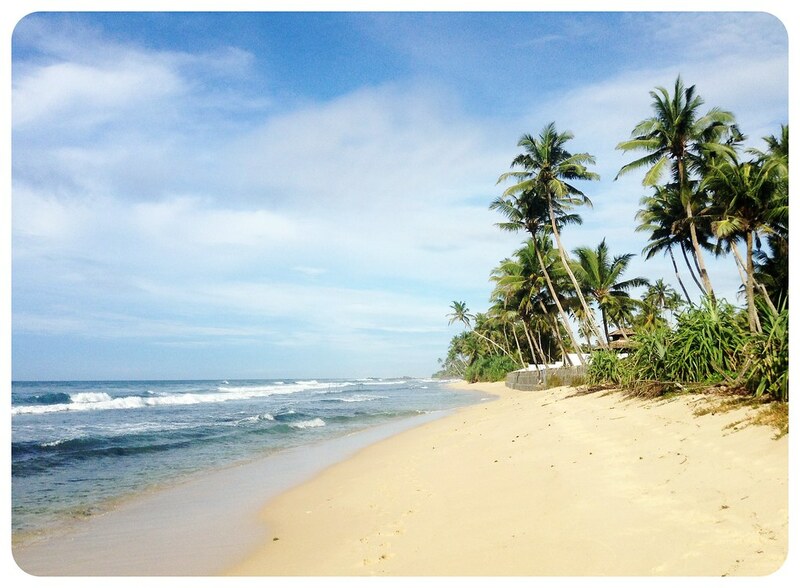 I am breaking down all of my expenses in the country to give you an idea of what costs to expect when you budget for a trip to Sri Lanka. Overall, it has been one of the cheapest countries I’ve been to and it is possible to travel the country on $20 – $30 per person a day (on a shoestring), or around $50 per person per day in nicer accommodations. 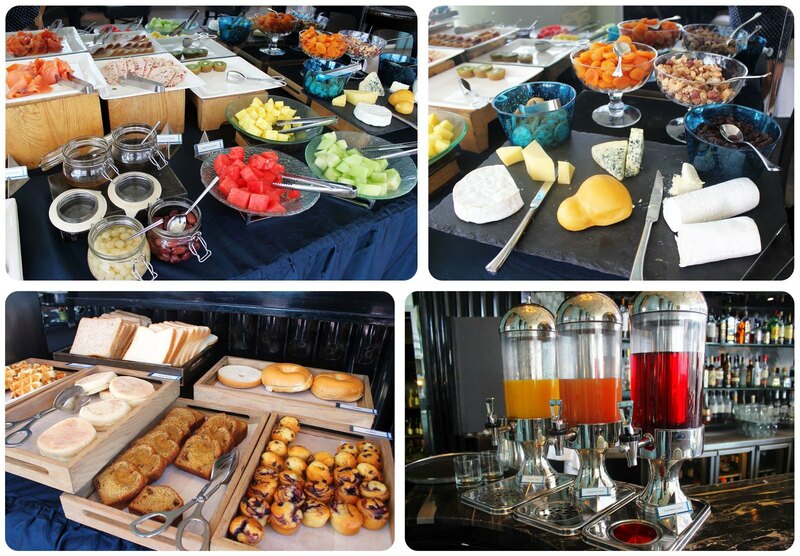 Read on for the full breakdown of food, transportation, sightseeing, accommodation and other costs. A visa is required to enter Sri Lanka. Luckily it is easy to apply for a Sri Lankan visa online. The cost of a visa for Europeans, North Americans and Australians is US$35. The visa is valid for 30 days, if you’re planning to stay longer, you’ll have to get an extension in Colombo, which is LKR3,600 /US$25 (make sure to have a passport photo on you for that). This will be your biggest expense, but the value for money is usually very good. 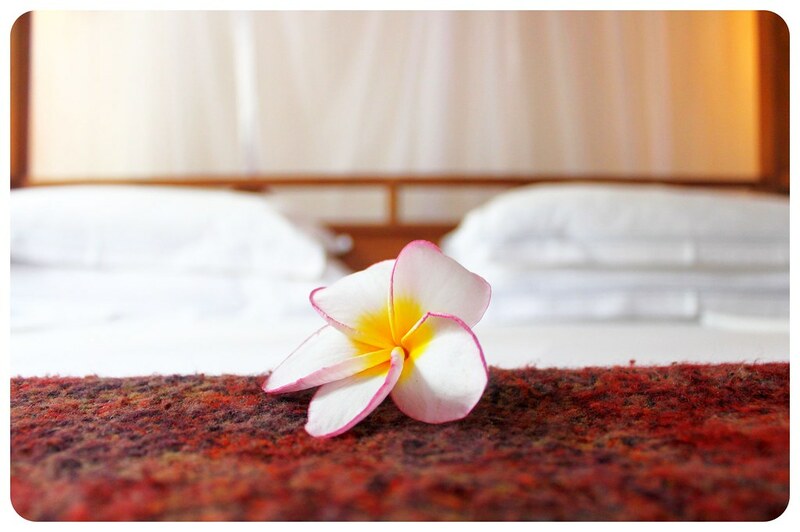 The cheapest rates for a private double room I found was LKR1,500 (US$10.40), and in some of the beach towns I paid around LKR3,000-3,500 (US$21-25) for a double room (split between two people). Remember that this was in the off-season though. In other places (not along the coast) LKR1,500 seemed to be the going rate for a basic double room, breakfast often included, and usually with free wifi. 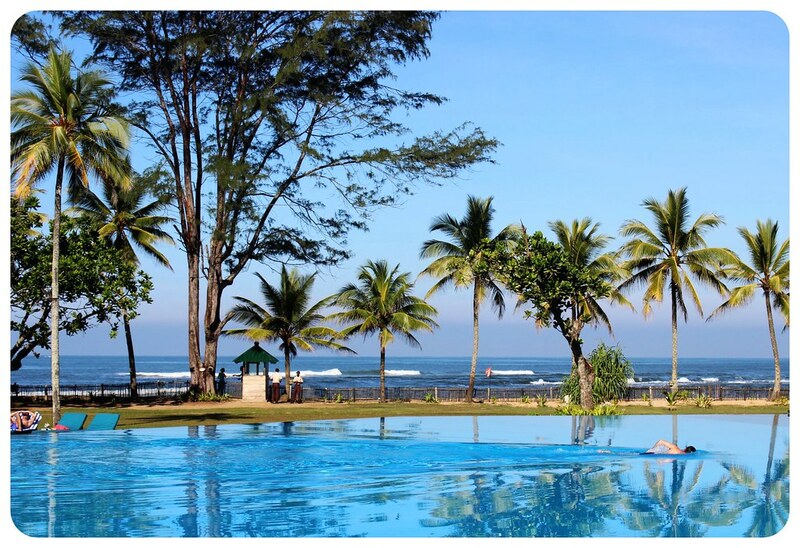 As for higher end accommodation, I found some nice hotels with swimming pool and breakfast for LKR5,000-6,000(US$35-41), and really nice hotels, like the Cinnamon Hotels around the island, often offer special rates starting at LKR7,000 (US$49) during the low season (expect this to double in the high season). I didn’t sleep in dorms but a dorm bed was usually around LKR800 (US$5.50). It definitely pays off to check hotel booking websites like Booking.com for special deals in the places you’re planning to visit. Through Booking.com, I found a nice boutique hotel in Colombo for $50 a night (for two people), and a great deal for a gorgeous hotel in Polonnaruwa for $29 a night including breakfast. Food can be dirt cheap, but it also can be pricey depending on if you’re willing to delve into the local cuisine or stick to western choices. A Sri Lankan dinner of kotthu, which is a favorite of the locals, costs around LKR165 – 200 (US$1.15 – 1.40), while a chicken curry in a beach town can cost you up to LKR900 (US$6.25). 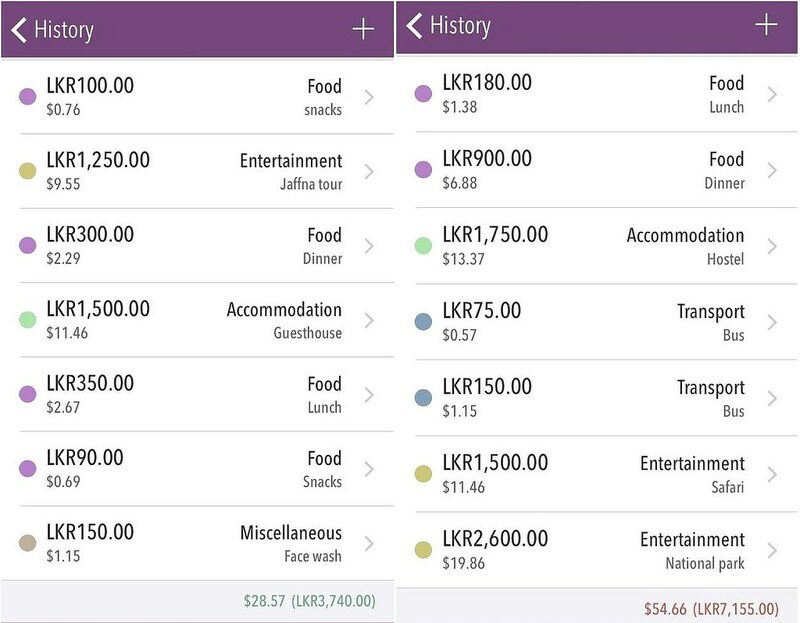 On average, expect to pay between LKR200 and 300 (US$1.40 – 2.10) for local food and LKR600 to 900 (US$4.15-6.25) for a dish in a tourist restaurant. Breakfast usually cost me LKR500 to 700 (US$3.45-4.85), including tea or coffee. Speaking of coffee, if you are looking for good coffee, you’ll have to pay for it. The most expensive coffee I had was in Kandy at Natural Coffee, where I was charged LKR560 (US$3.90) for a cappuccino – more than I usually paid for an entire meal! There are some coffee shops in Colombo, and some cafes around the country that have a proper espresso machine, but they’re few and far between. 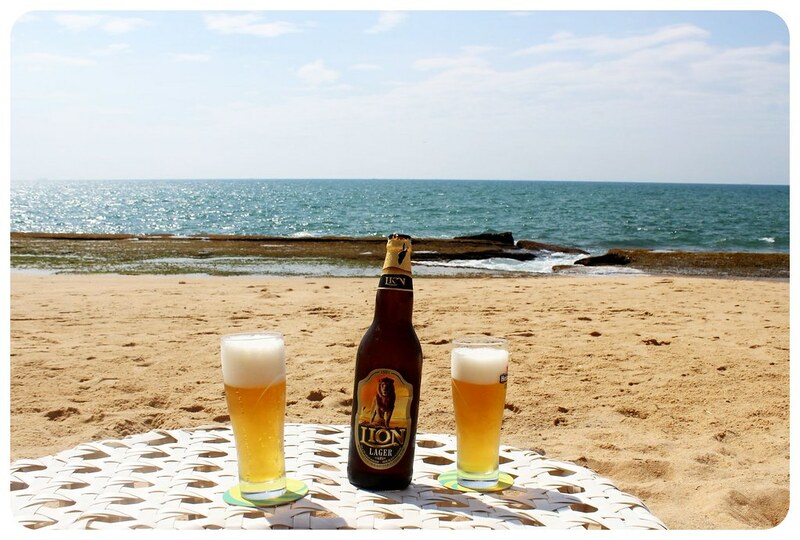 A 625ml bottle of local Lion beer can be as cheap as LKR250 (US$1.75), but can cost you up to LKR600 (US$4.15) in nicer establishments. I usually paid LKR300 (US$2.10). Cocktails are more expensive – about LKR400 to 500 (US$2.80 – 3.50) along the beaches and LKR800 to 1000 (US$5.50 – 7.00) in the nicer bars of Colombo. Transportation is some of the cheapest I’ve ever taken anywhere in the world – I still can’t believe that a 7-hour train ride cost me a mere LKR230 ($1.60) in 2nd class! While I wouldn’t opt for 3rd class (those are the cheapest tickets but the carts are often overcrowded), I think 2nd class is perfectly fine and there’s no need to pay for 1st class, which is about 1000 rupees per ride and essentially the ‘tourist cars’. 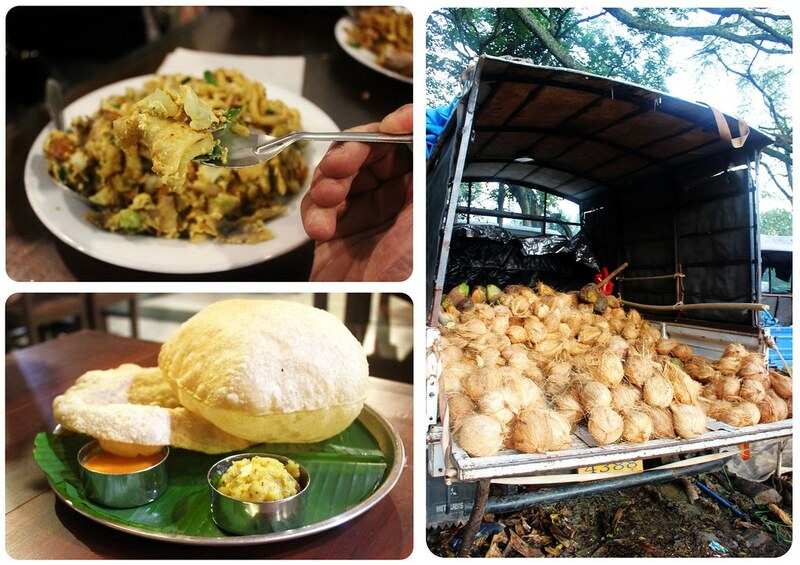 I will share more about that when I write about my Sri Lankan train adventures which deserve a post o their own. 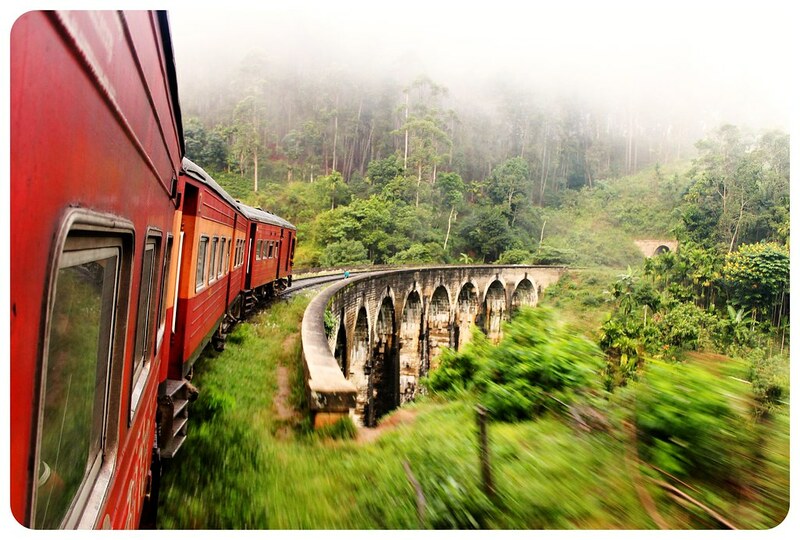 I usually paid LKR190 (US$1.30) for a train ticket, the cheapest one was the 1 hour ride from Ella to Badulla which cost me 40 rupees (just under 30 cents). Long distance buses are a bit more expensive but still cheap by western standards – expect to pay around LKR80 (US$0.55) for a 1-hour ride. 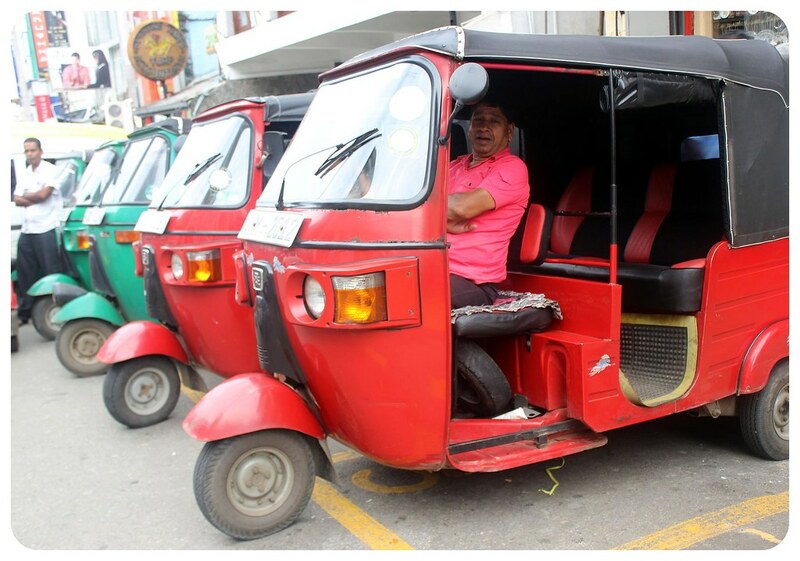 The most expensive ride was a 4-hour trip from Kandy to Polonnaruwa at 150 rupees ($1.05) Tuktuks range anywhere from 50 rupees to 600 rupees (or more, if you go really far in them), always negotiate before you get in. The price they quote you is usually higher than what they’re supposed to charge you, so try to haggle. As a rule of thumb: anything up to 3 kilometers shouldn’t be more than 100 rupees, but the more touristy the area, the higher the prices the drivers charge. 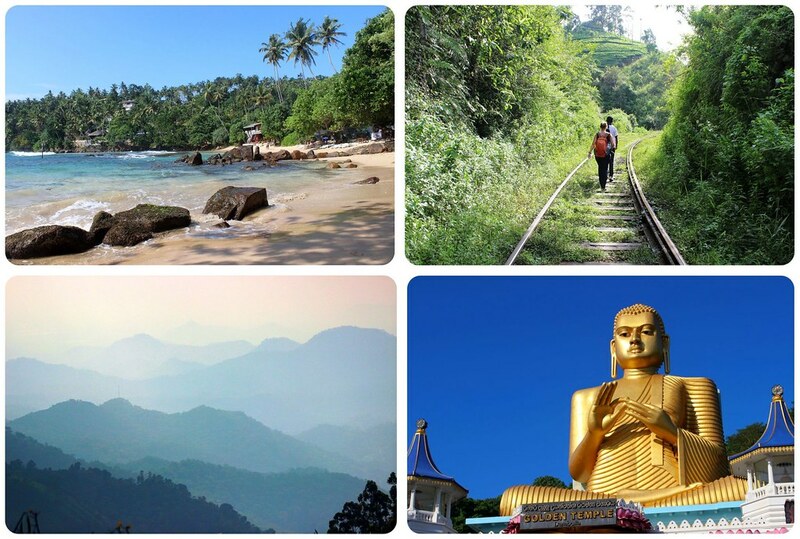 Tourist attractions are the most expensive category: Sri Lanka offers its heritage sites and national parks at a steep price, unproportionally higher than anything else that’s sold at deflated tourist pieces. Tourists don’t pay double or tenfold what locals pay, they pay around 40 times the local price. An example: Sri Lankans pay LKR50 (US$0.35) to enter Yala National Park, foreigners pay more than 2000 rupees (US$14). 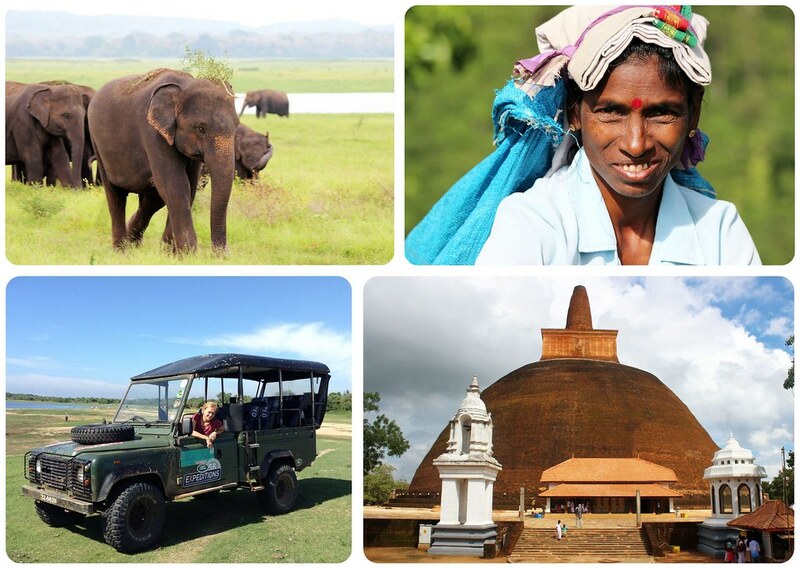 The ancient cities in the north are LKR3,250 (US$22.50) each, and a half day safari in a National Park comes to US$40 with the vehicle, park entrance and a guide, but you’ll most likely get quoted a higher price. For our jeep in Yala we paid LKR4,000 (US$27.70) between four people and admission was around LKR2,500 (US$17.30) (it gets cheaper the more people are in a group). You can rent bikes for the day to get around the ancient cities which cost LKR200 to 300 US$1.40-2.10). 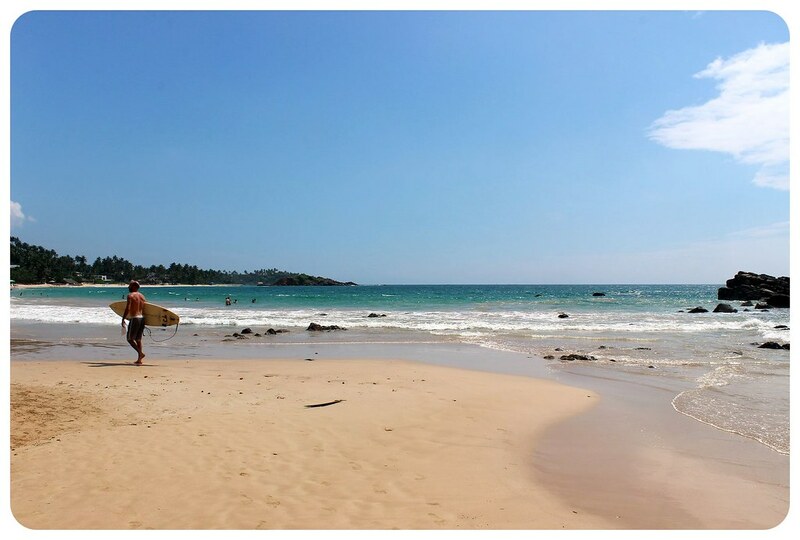 Prices for other fun activities: A whale watching tour will cost you around LKR6,000 (US$41.75), a dive is around US$30, surf lessons are around US$40, cooking classes start at LKR3,000 (US$21). Make sure to grab your free local SIM card right when you make your way through immigration at the airport. Dialog, one of the fastest 3G networks in the country, offers free SIM card at immigration – just ask for one and they’ll give it to you. I personally used mobitel and paid 399 rupees for a 4GB data package. If you add another 100 rupees for call time credit, that should last you a while (if you only use your phone to call guest houses etc). There are ATMs everywhere, at least one in each town, no matter how small it is. And cash is king – it was rare that I was able to pay anything with a credit card, so prepare and make sure you’ll always have enough cash on you, especially when you visit national parks and UNESCO sites – the only place I was able to use my card at was Yala National Park. Seylan Bank has a maximum withdrawal of only 10,000 rupees, so if you pay fees for cash withdrawals abroad, make sure to avoid this one. Commercial Bank lets you take out at least up to 20,000 rupees, if not more. Sampath Bank lets you take out at least 30,000 rupees at once. Most places automatically add a service charge to the bill, so double-check before you tip if they’re already including it. 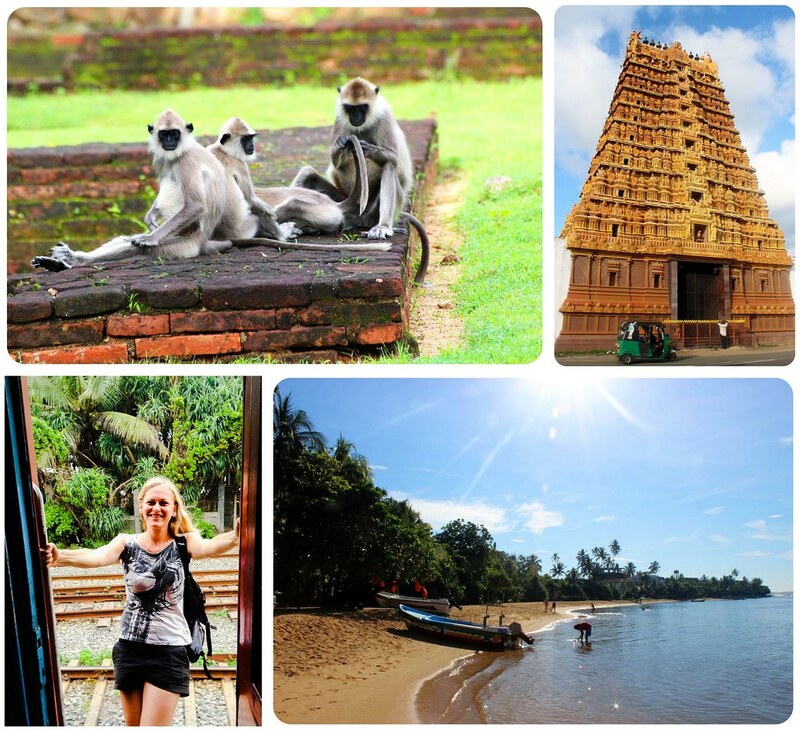 As you can see, Sri Lanka is very affordable – not as cheap as India, but you can get by on an average $30 a day, if you stay in budget accommodation and don’t take expensive tours every day. A beach day with accommodation, two full meals, coffee, snacks and drinks at night in a beach town would cost me around $25, but on days when I visited one of the UNESCO sites, my daily expenses could easily add up to $50. As usual, I used the TrailWallet app to track my expenses. When I started my research for outstanding hotels in Hong Kong, one of the first hotels that caught my attention was the Pennington by Rhombus, a sleek boutique hotel right in the center of the Causeway Bay shopping area on Hong Kong Island. The best part was that it was not only sleek, but also affordable, but that meant it was in high demand and didn’t have availability for my dates. However, while further researching the hotel, I discovered that the Pennington was part of the Rhombus group which had three more hotels in Hong Kong – the Bonaparte, Hotel Panorama and Hotel LKF. 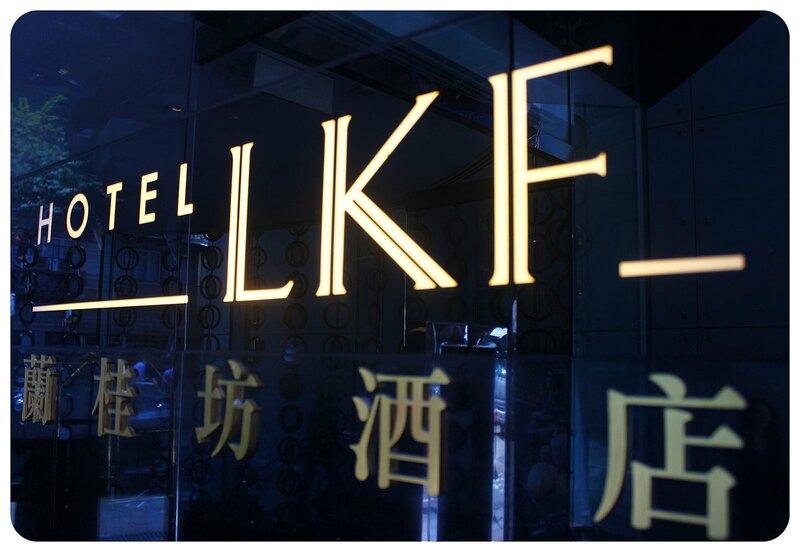 LKF stands for Lan Kwai Fong, which is a popular nightlife area in Hong Kong, and so I didn’t need to think long: I wanted to stay there, right in the middle of Lan Kwai Fong, a neighborhood made up of a maze of little streets and alleyways that are home to more than 90 restaurants and nightclubs. The first thing I noticed upon arrival was the elegant and classic theme of the hotel which runs like a thread through the entire hotel, from the lobby to the rooms and the stunning rooftop bar (more on this later). 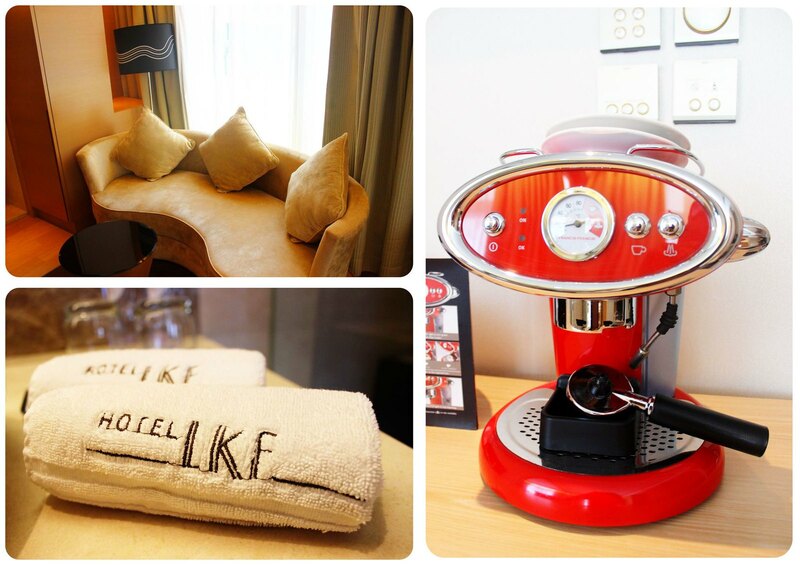 All rooms at the LKF are equipped with illy espresso coffee machines and tea making facilities, a 42-inch LCD TV (which admittedly I didn’t have time to switch on once! 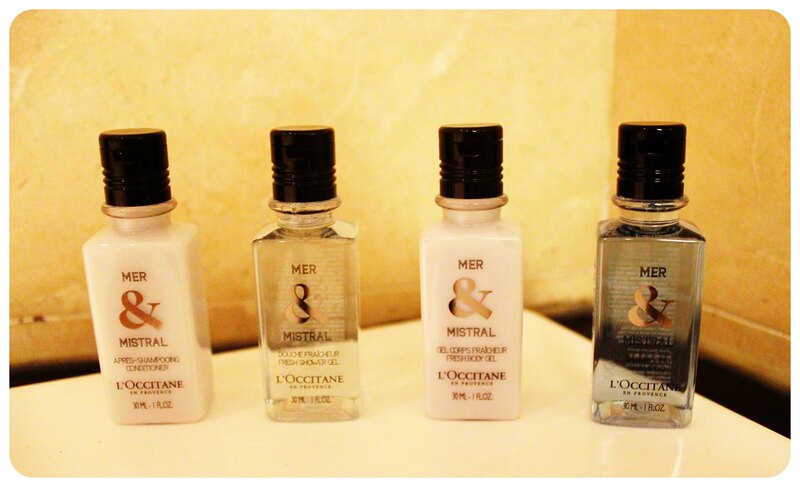 ), mini bar and comfy bathrobes and slippers. 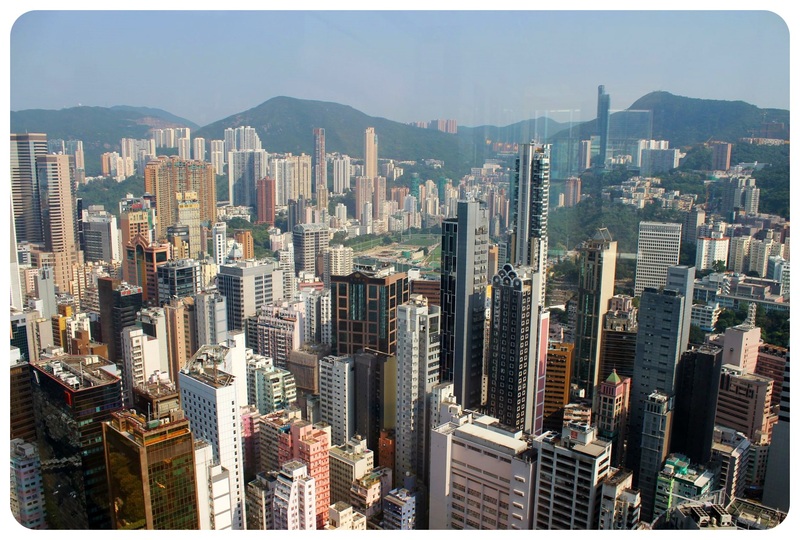 For a city like Hong Kong, where space is sparse, the rooms are unusually large – the superior rooms are an enormous 500 square feet and the suites are almost twice as big with a size of 950 square feet. The spacious bathroom doesn’t only come with high-quality toiletries, a hairdryer and a scale, but also with a bathtub, and indulging in a bubble bath after a long day of sightseeing felt glorious. My favorite feature of the room? This would be a tie between the incredible views over Hong Kong and the super comfy king size bed that made me wish I had an extra day, or a rainy day. I swear I wouldn’t have left the bed – the crisp cotton linens and Flexi pillows lulled me into a sound sleep as soon as I hit the sheets after a late night cocktail at the Azure Bar on the 30th floor of the hotel. While I didn’t have time to try the restaurant up there, I had to at least take in the night views over the city at Azure, which was ranked as one of ‘The World’s 20 Best Sky Bars’. Azure sure lived up to my expectation, even though it was rather quiet on the weekday evening I visited, but I can imagine how busy it gets on a weekend night. And have I mentioned these views? If Azure isn’t enough to quench your thirst for a good night out, fear not: staying at LKF means that you literally have dozens of restaurants and bars right at your doorstep. 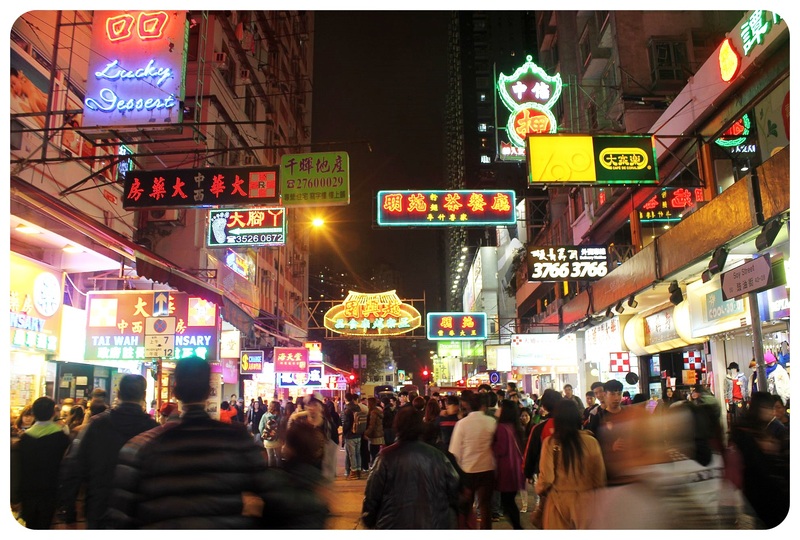 Lan Kwai Fong is by far the best neighborhood to be in if you are looking to sample Hong Kong’s nightlife, or just to eat your way through the seemingly infinite number of restaurants. 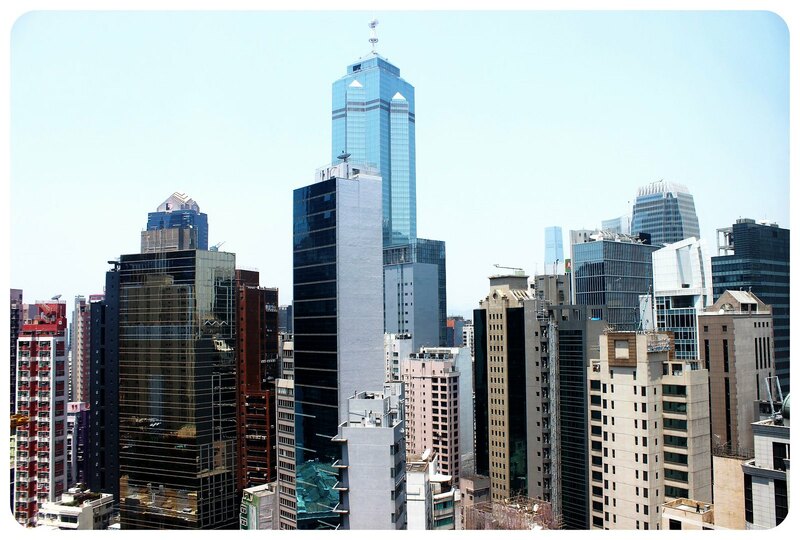 Staying here also means that you are in walking distance to Central’s endless shopping facilities and the yummy eateries of the trendy Sheung Wan neighborhood. I also walked up to the Peak from the LKF, which was an excellent workout thanks to the steep hills, and the road up the hill is easy to follow from the hotel. If you prefer a more conventional workout, the LKF has a small, but functional gym, to make sure you won’t feel too guilty when indulging in the fabulous breakfast buffet, which is served in the Azure restaurant every morning – no better way to start the day than with these sweeping views and a buffet style breakfast that includes fresh fruit, yogurt, a selection of bread, and hot dishes. Speaking of views – almost all of the rooms have stunning views, and the large panoramic windows allow you to fully enjoy them. Overall, I couldn’t have asked for a better experience and even though I was looking hard for things I thought could use some improvement, the only flaw that I could find was that the gym could have a bit bigger. The LKF was named one of ‘Asia’s Top 5 Business Hotels’, has received several ‘Certificate Of Excellence Awards’ by TripAdvisor, won ‘Best Boutique Hotel’, ‘Best Business Hotel’, ‘Trendiest Hotel in China’, to name just a few, and these awards are well deserved – the topnotch facilities and excellent service make staying here a stress-free, pleasant experience that I’d like to award with the Globetrottergirls Stamp Of Approval! Tip: Check the LKF website for special room packages that include complimentary cocktails and hors d’oeuvres or exclusive discount prices! 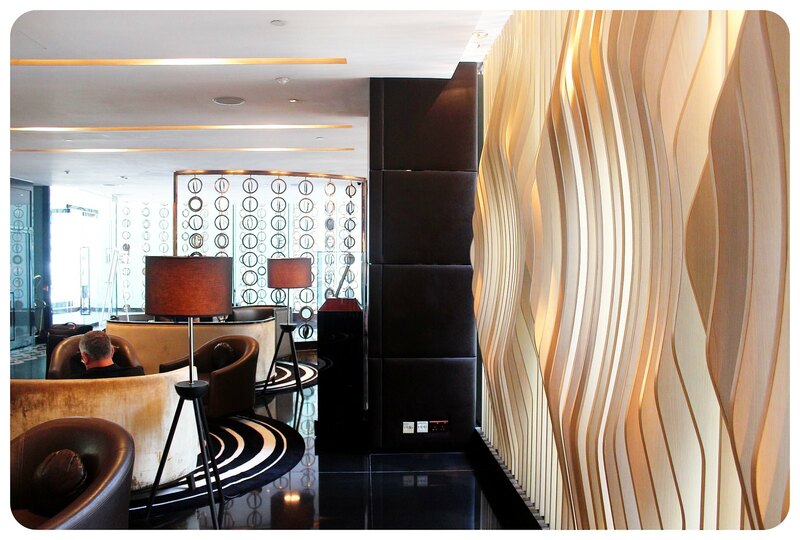 You can also check Booking.com for special rates for the LKF hotel.